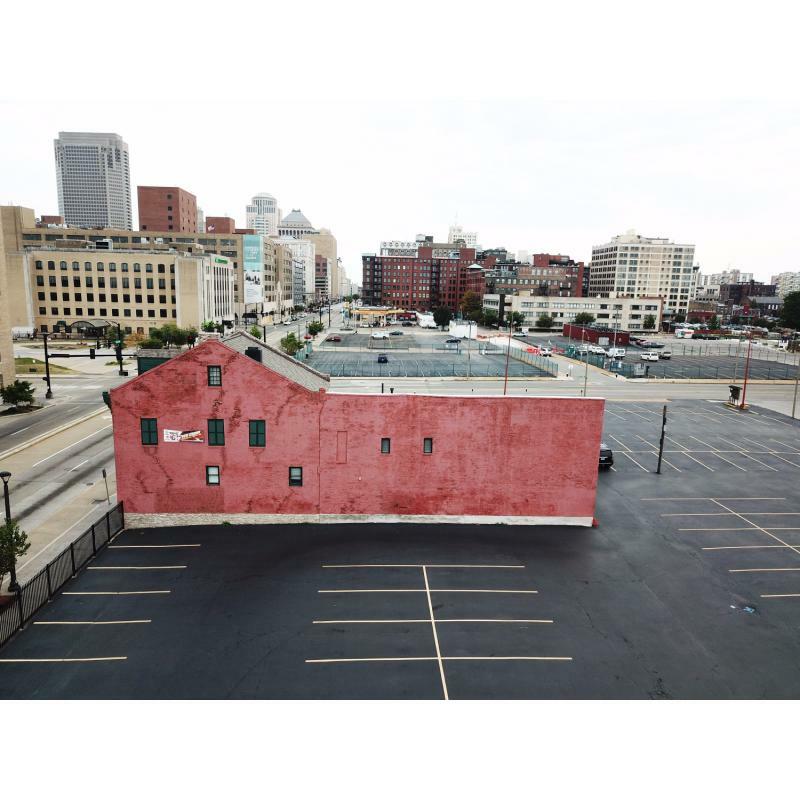 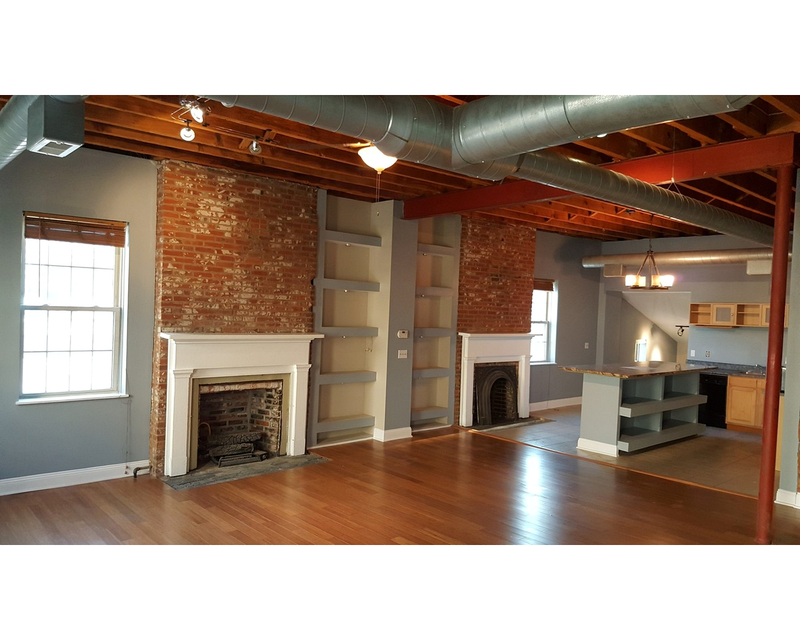 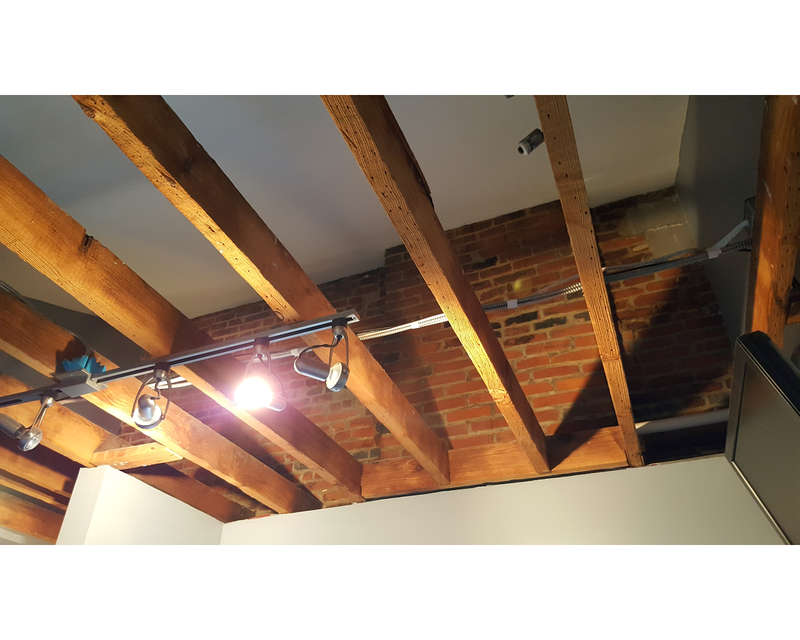 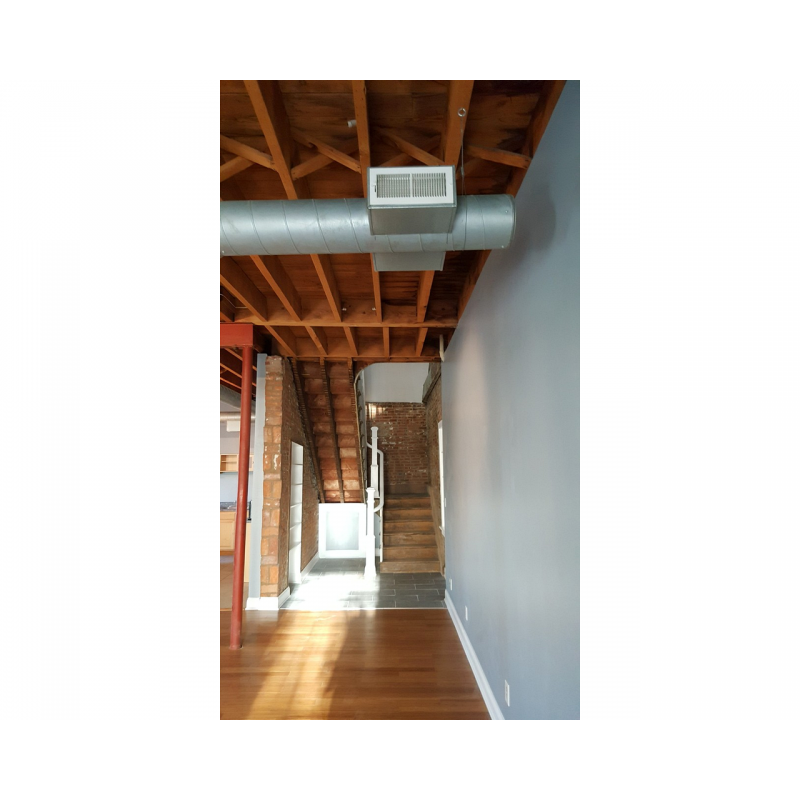 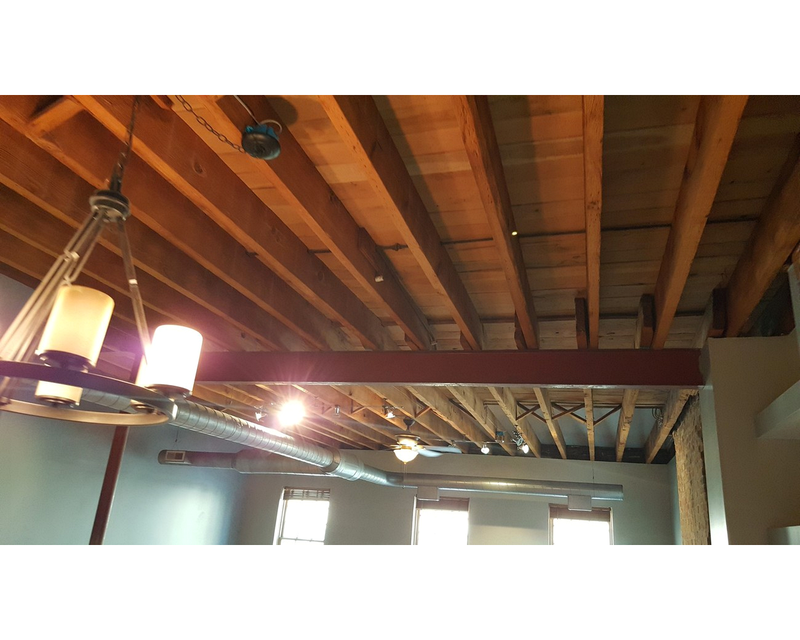 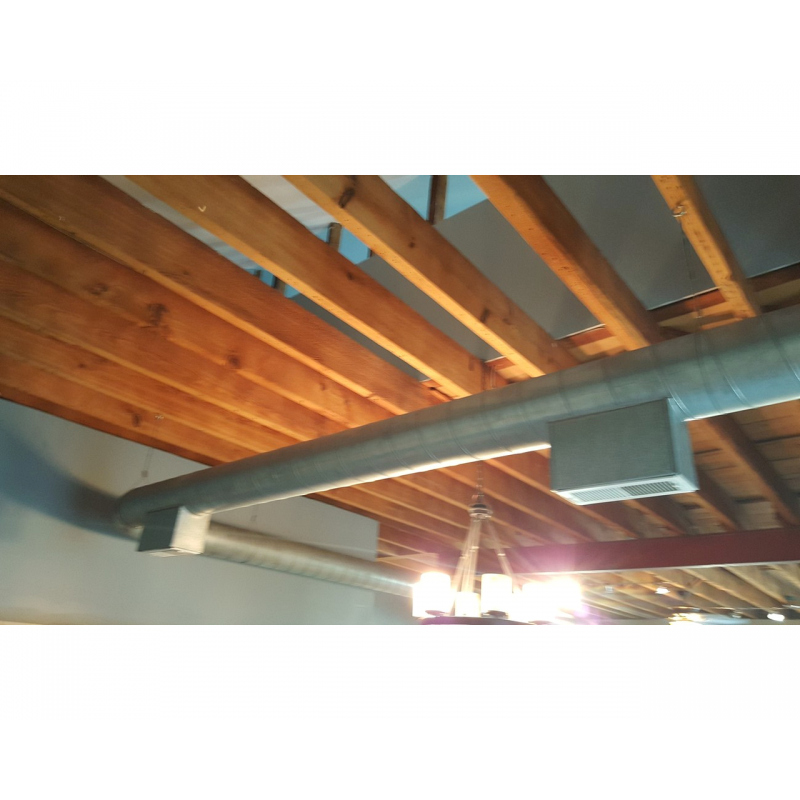 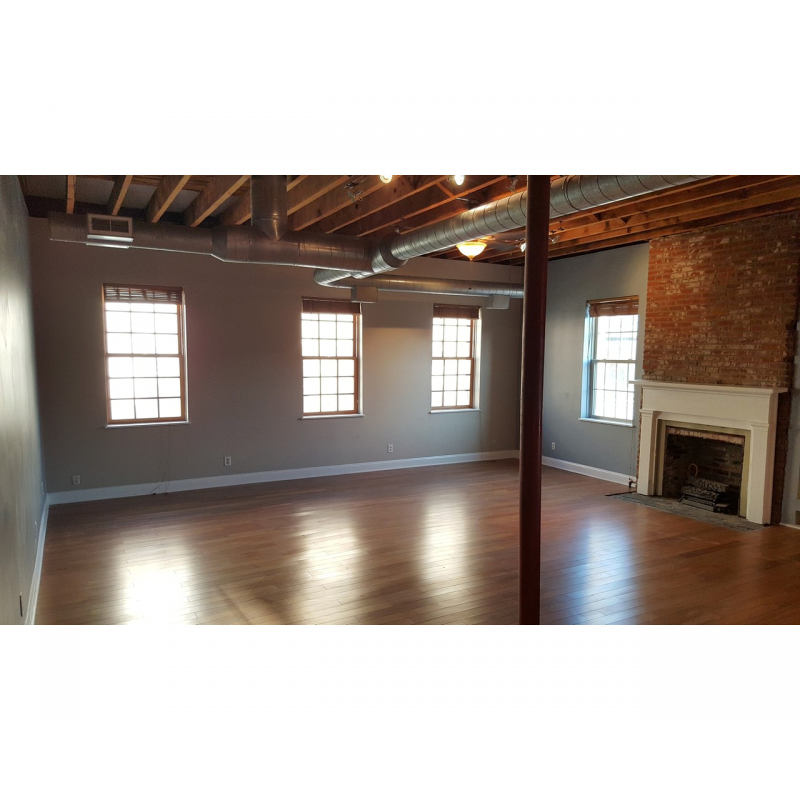 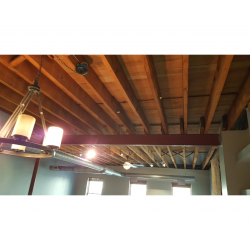 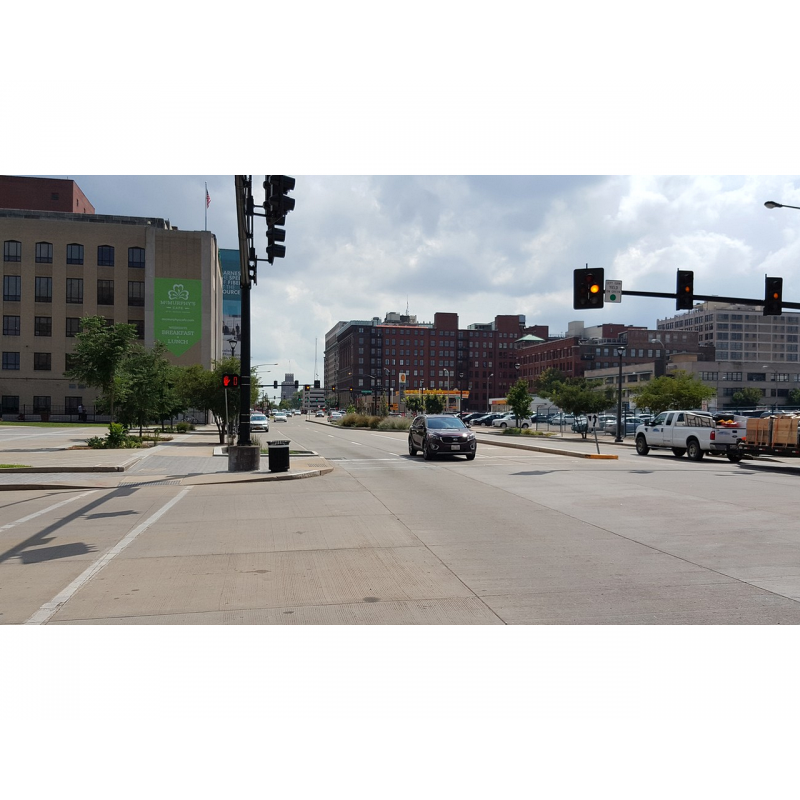 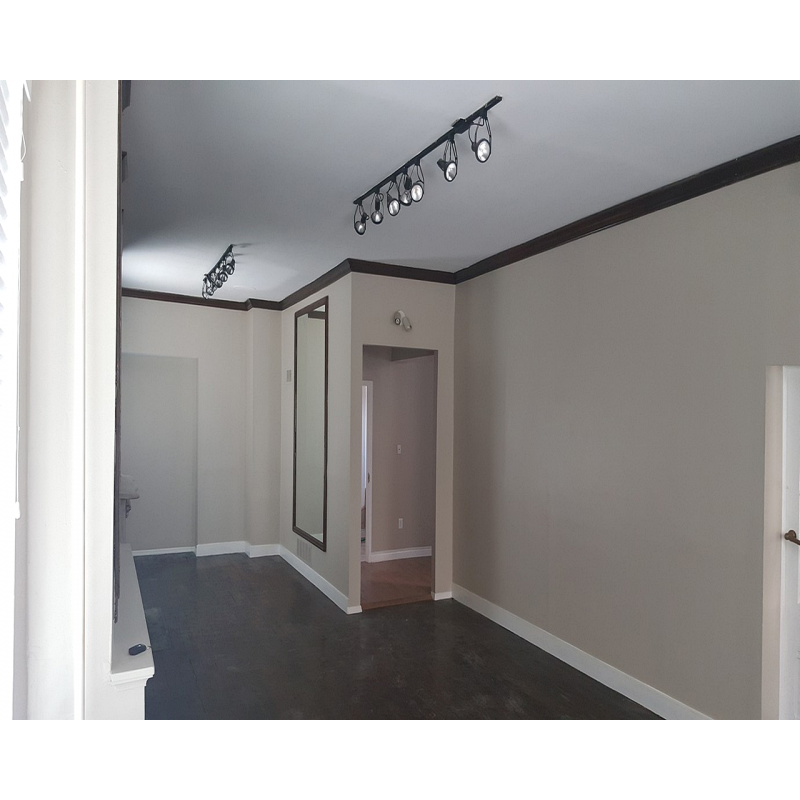 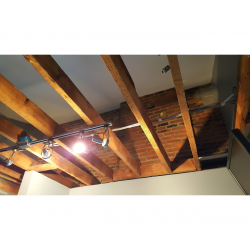 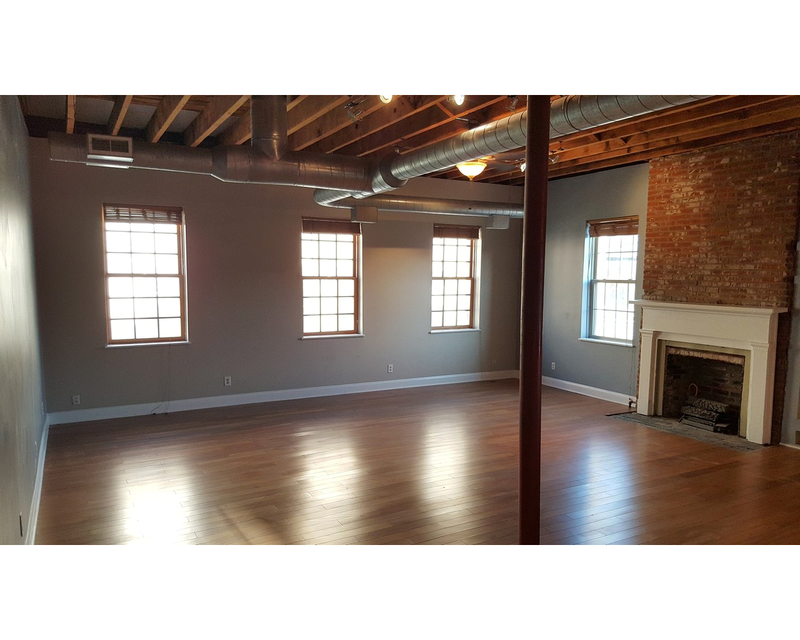 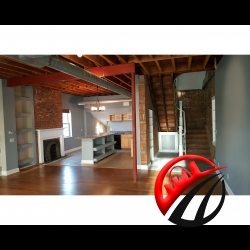 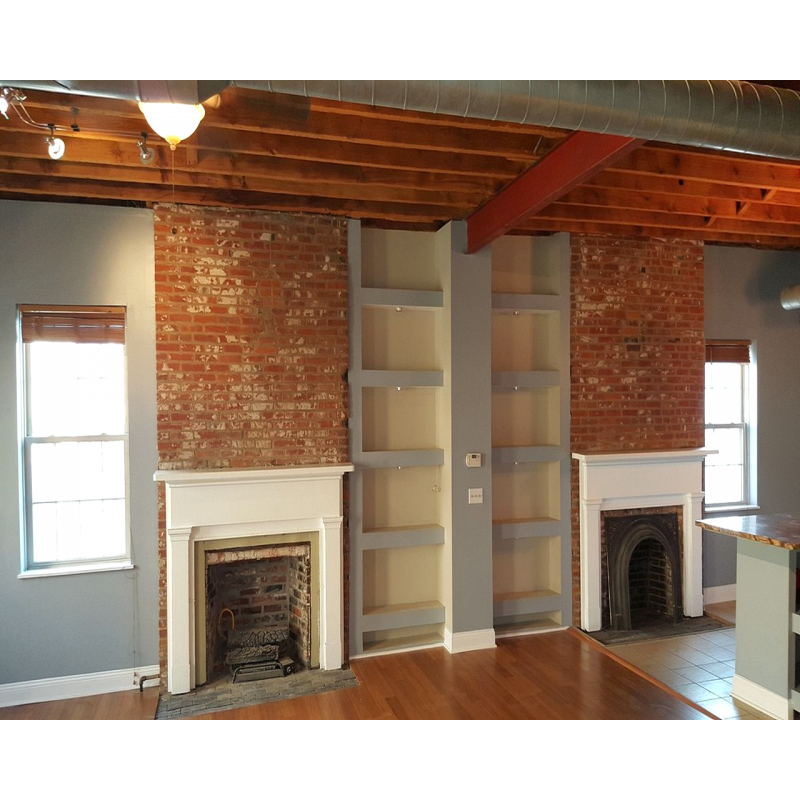 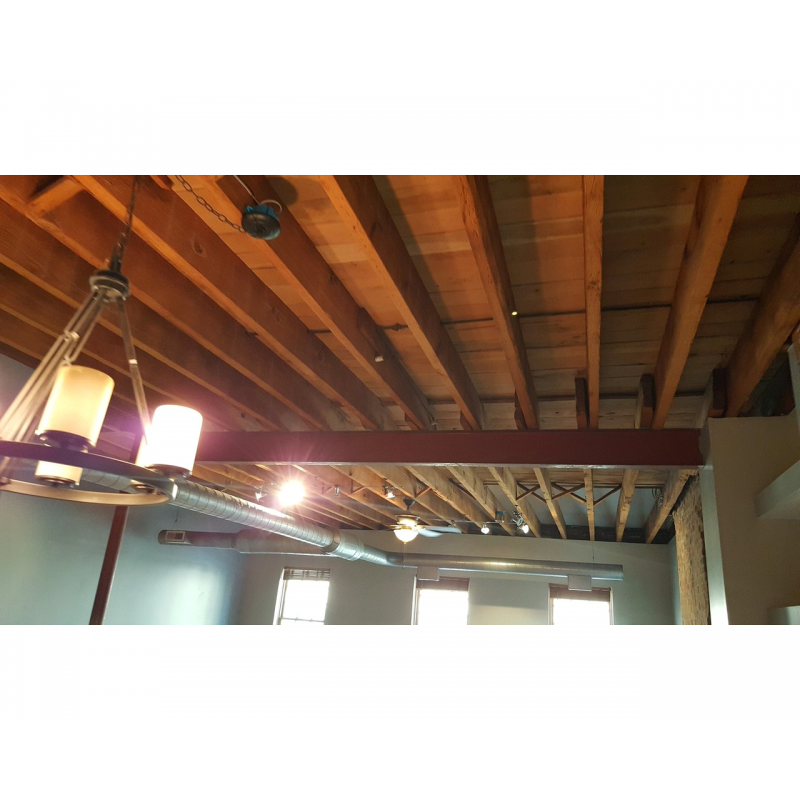 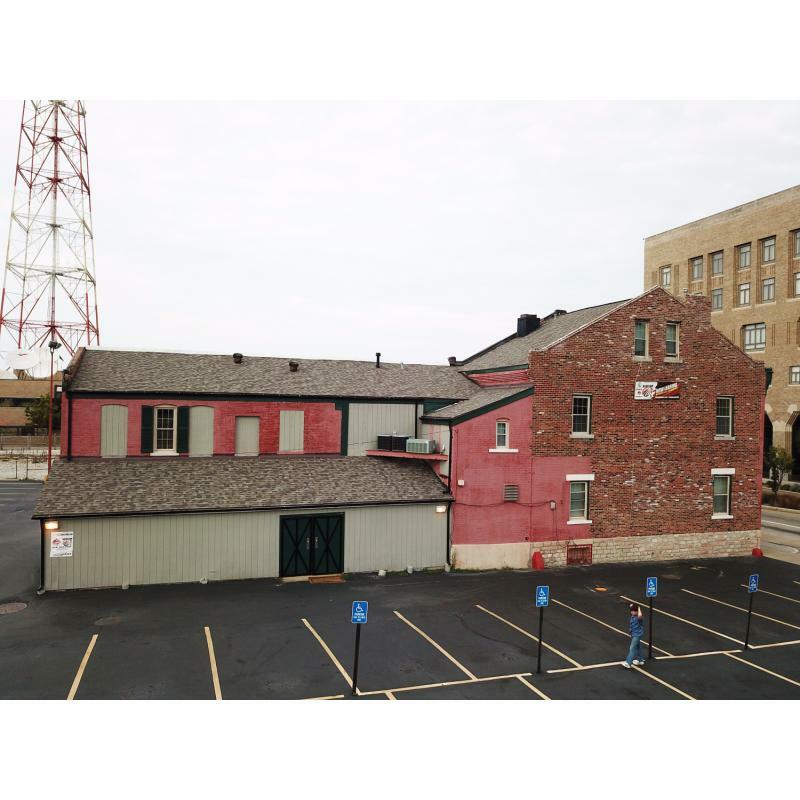 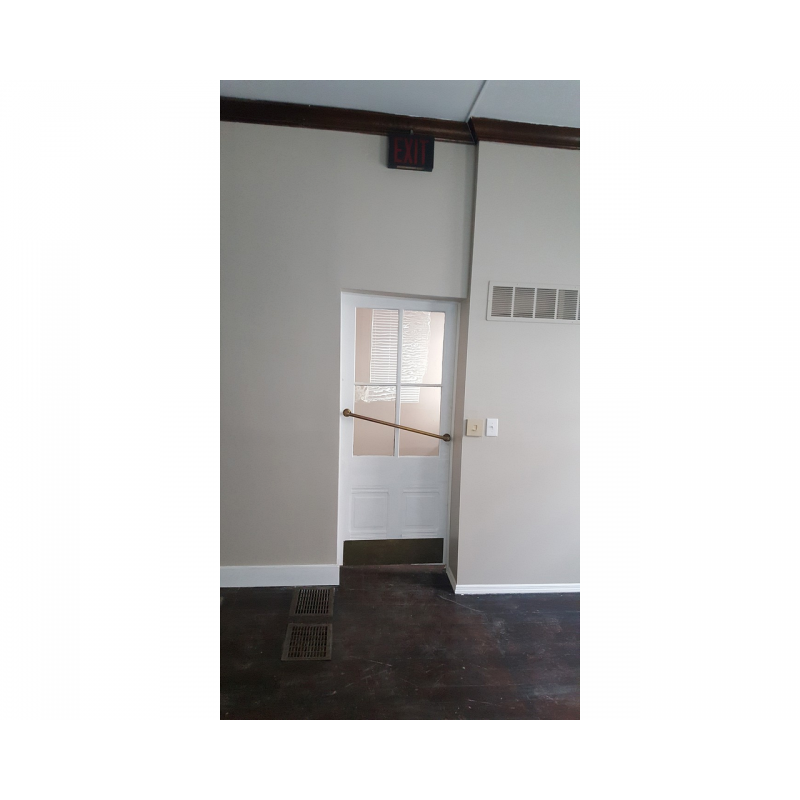 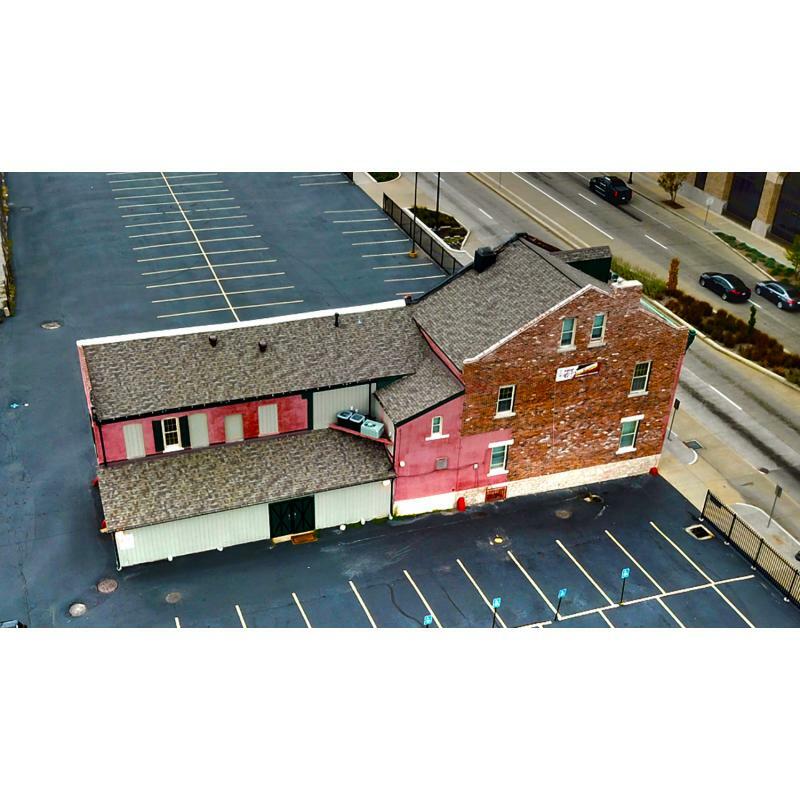 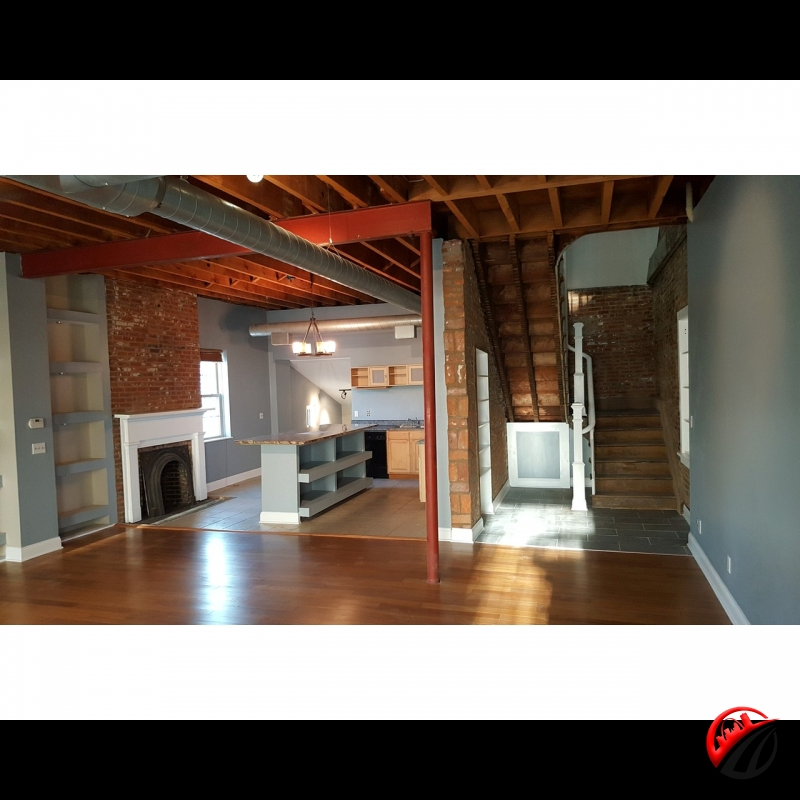 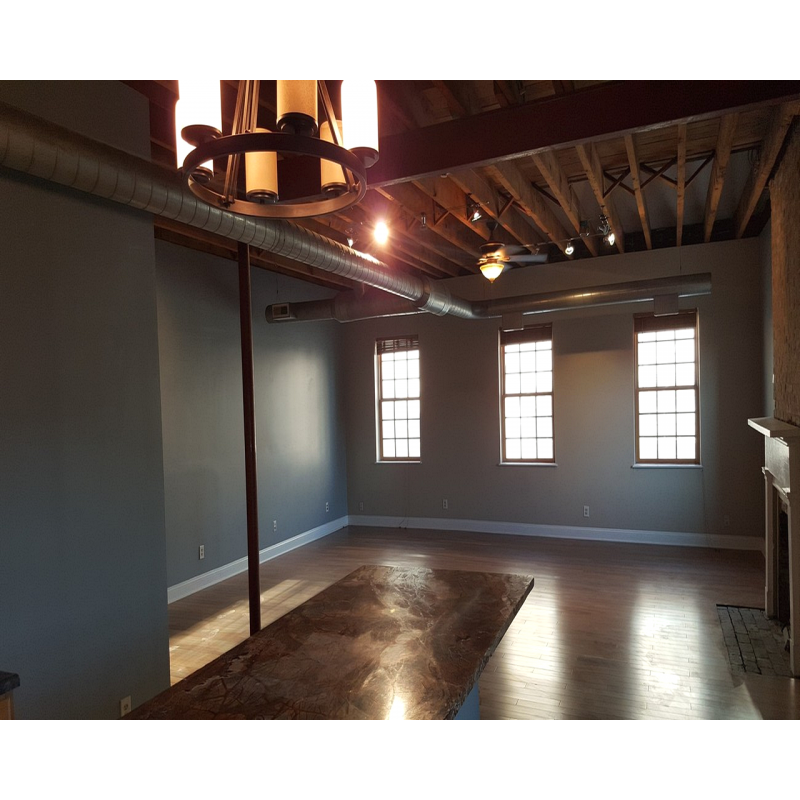 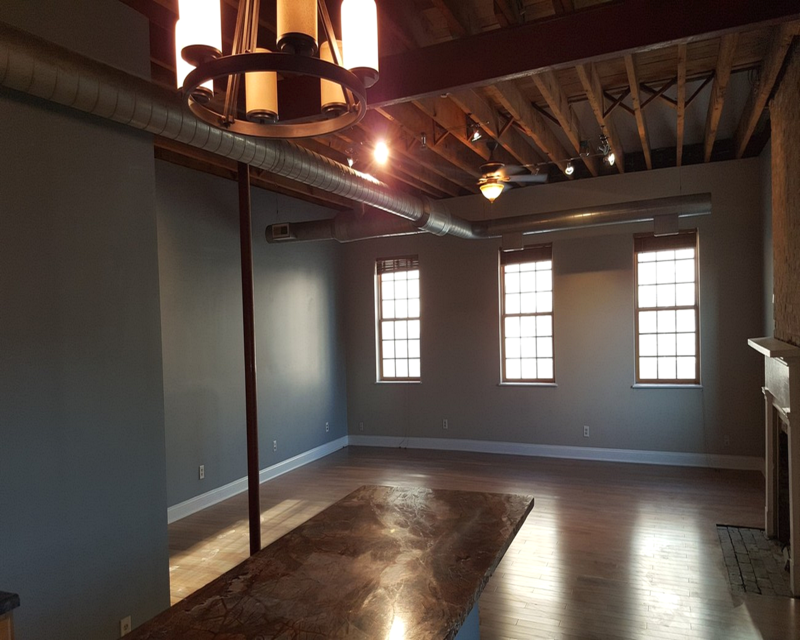 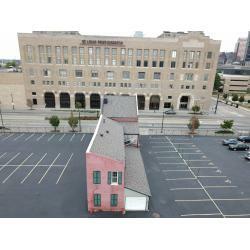 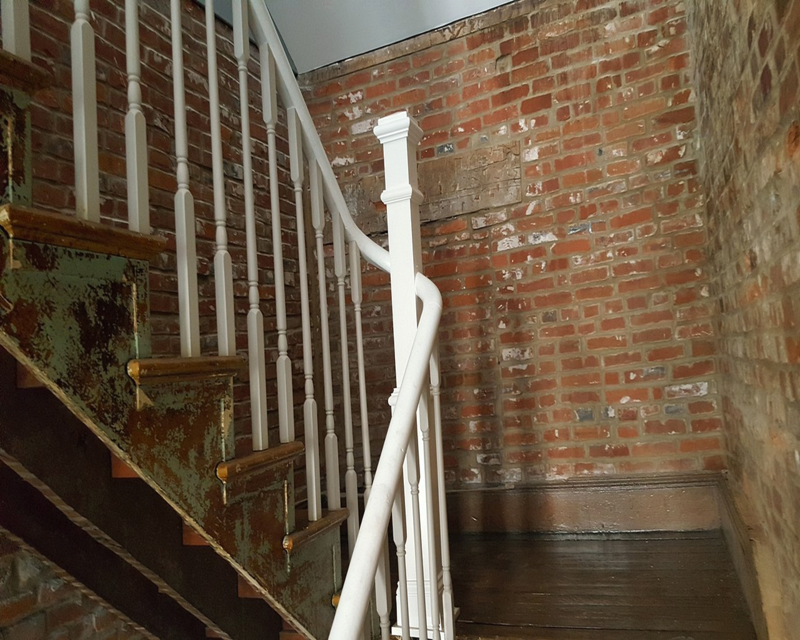 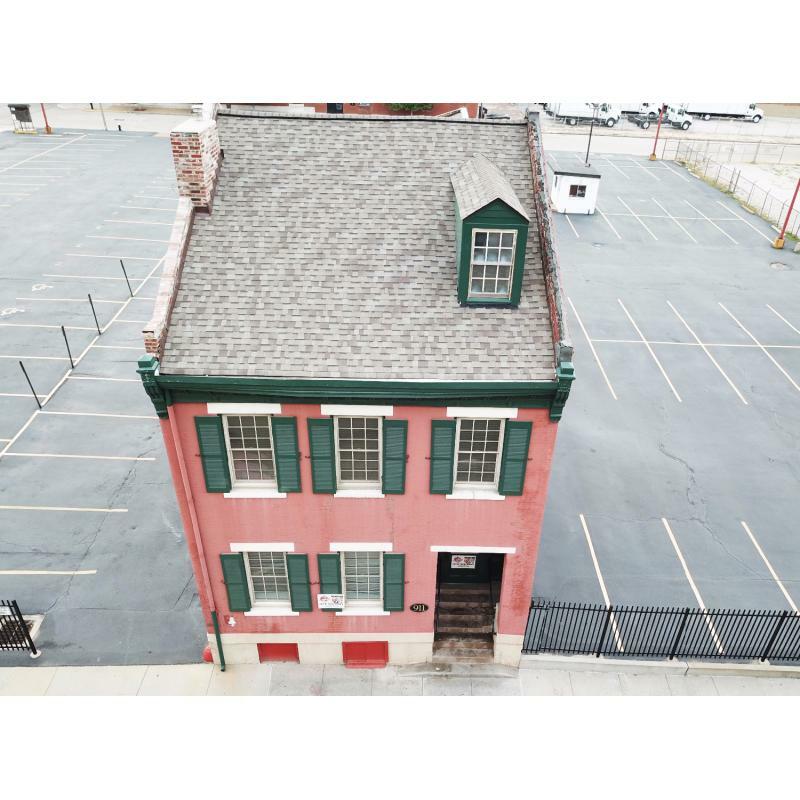 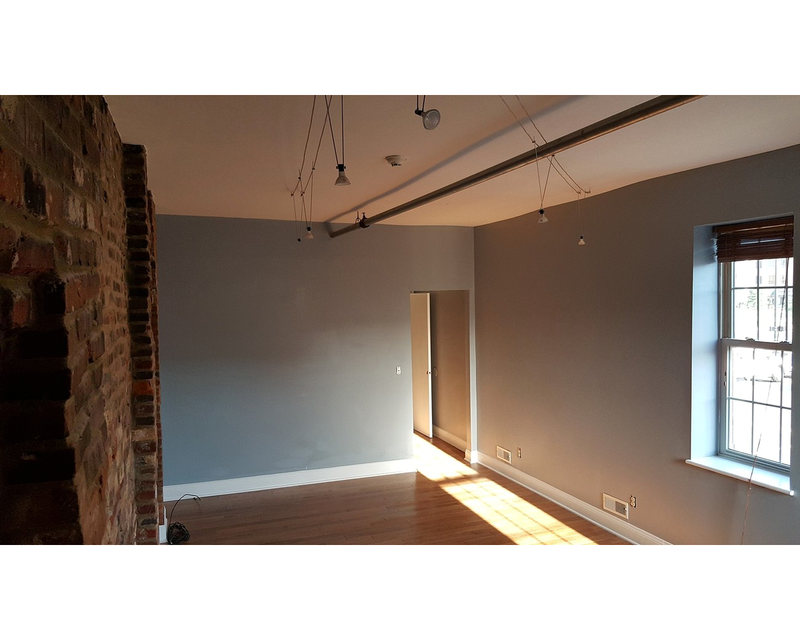 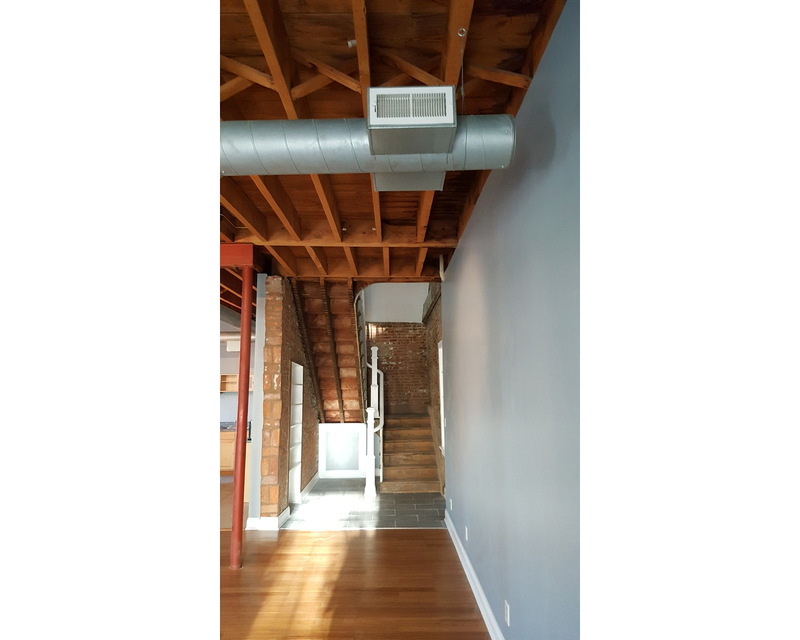 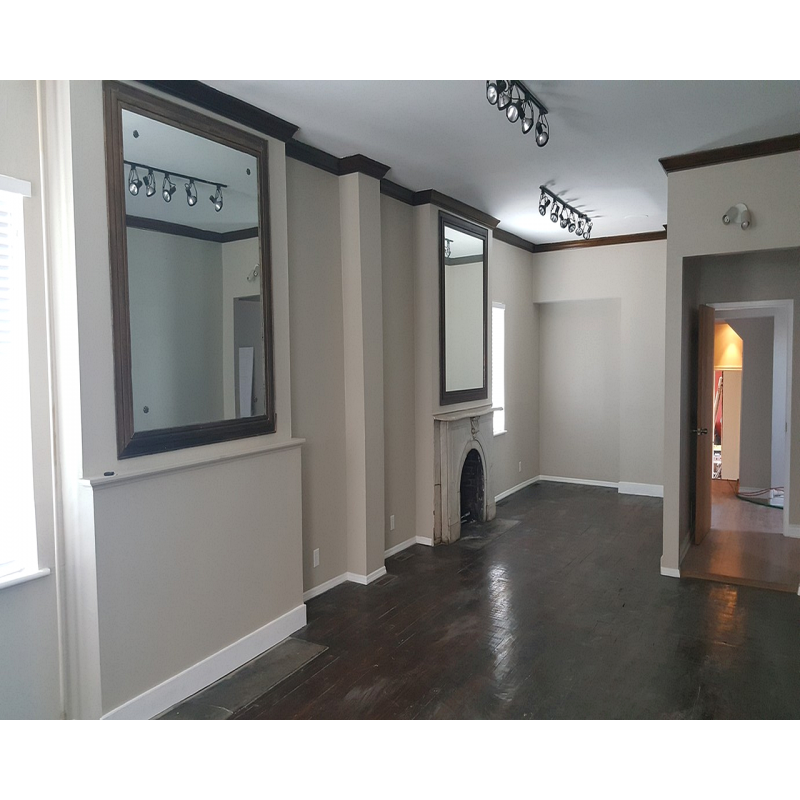 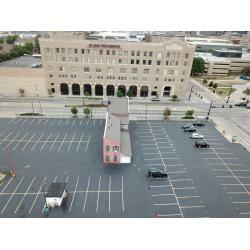 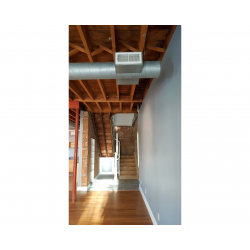 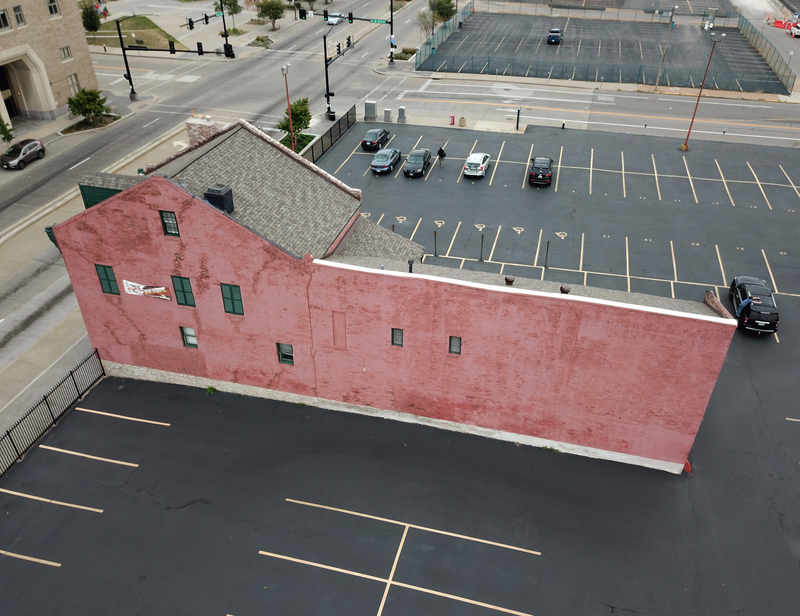 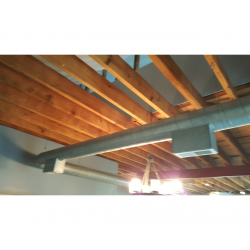 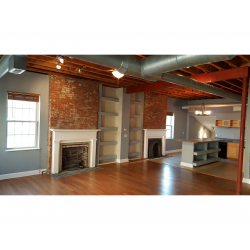 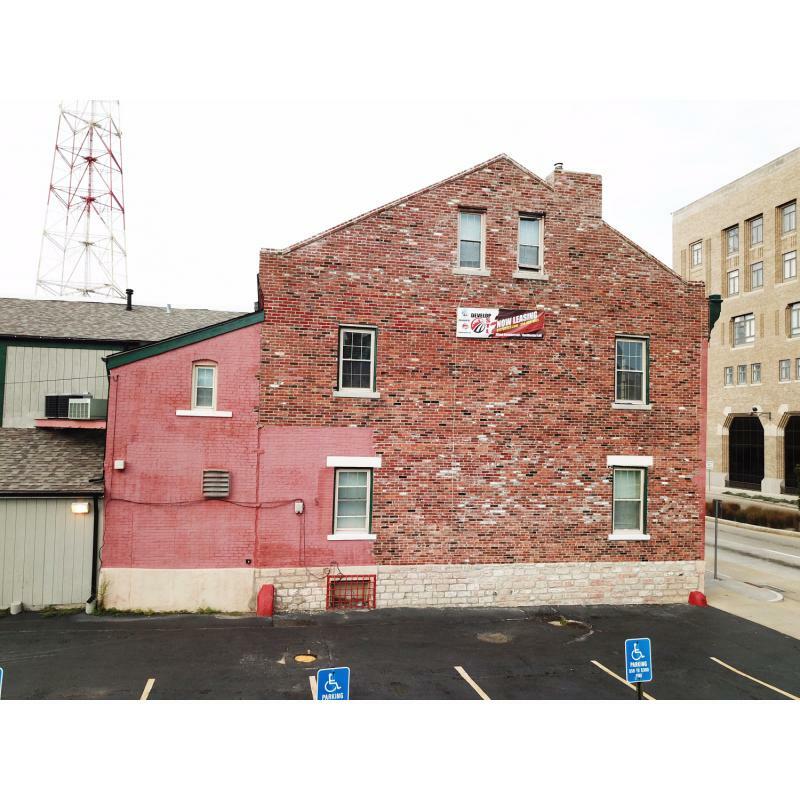 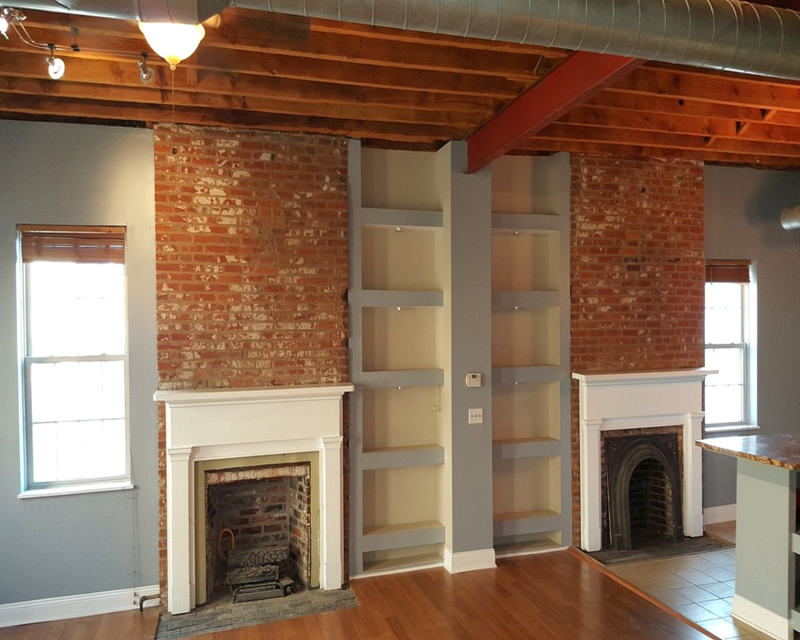 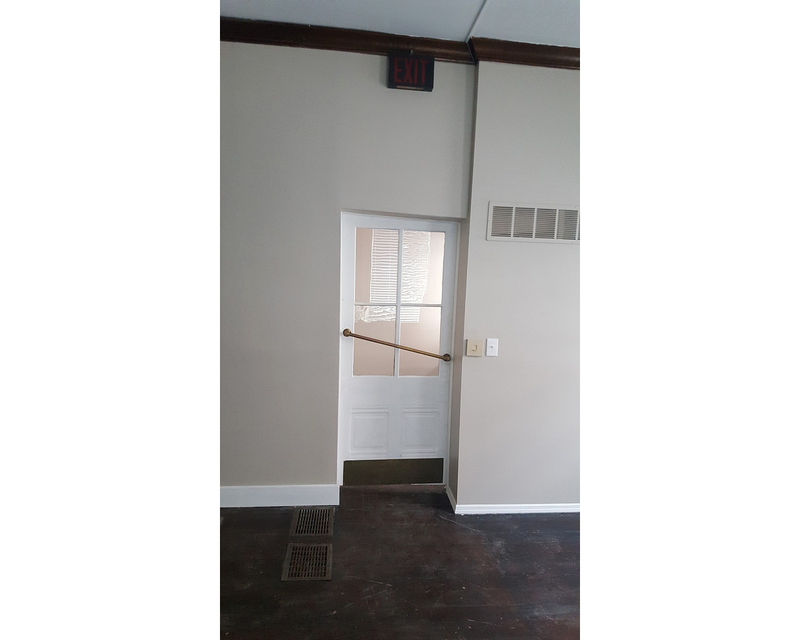 Get 6,200sqft of urban living, loft, business, gallery, retail space downtown across from the St. Louis Post‑Dispatch for only $425,000! 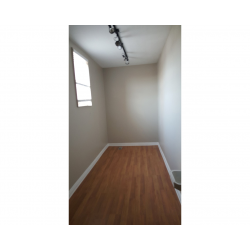 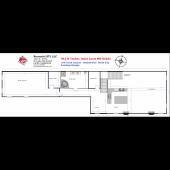 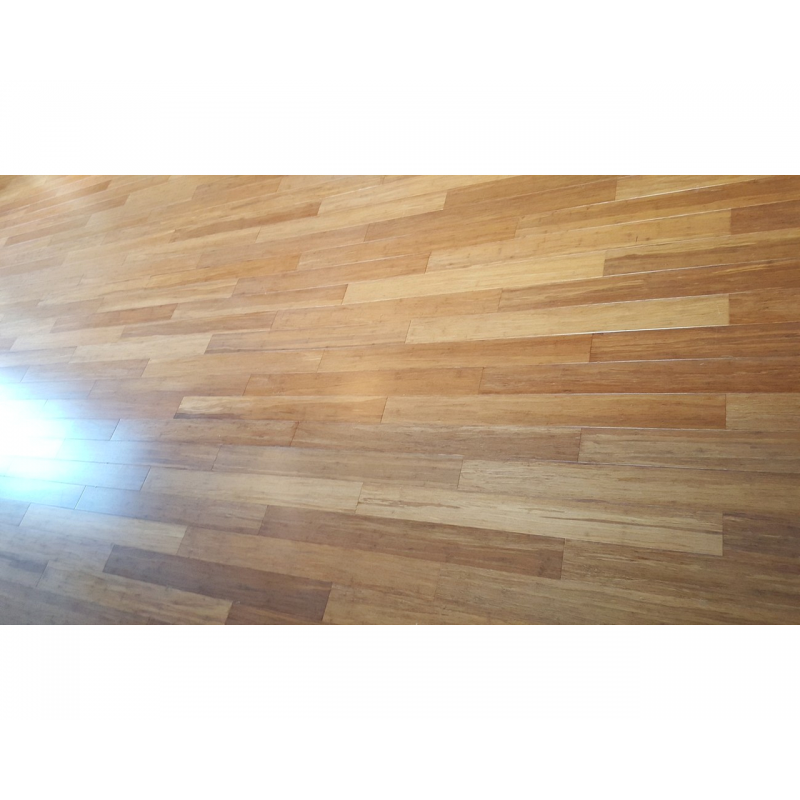 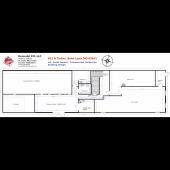 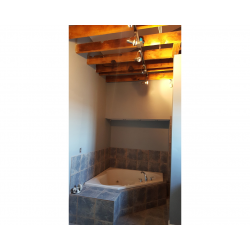 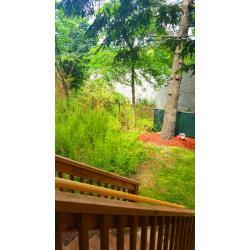 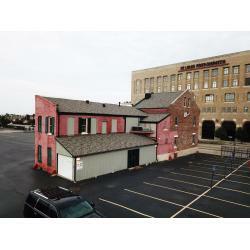 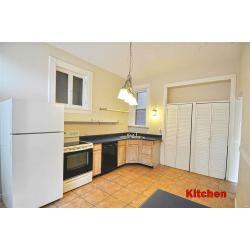 Dual Zoned Business Space With Attached High-End Living Space. 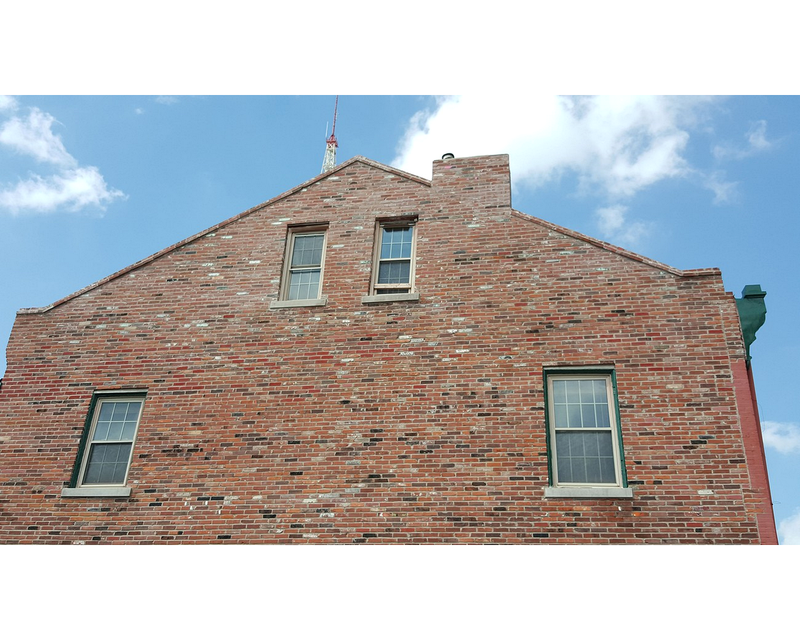 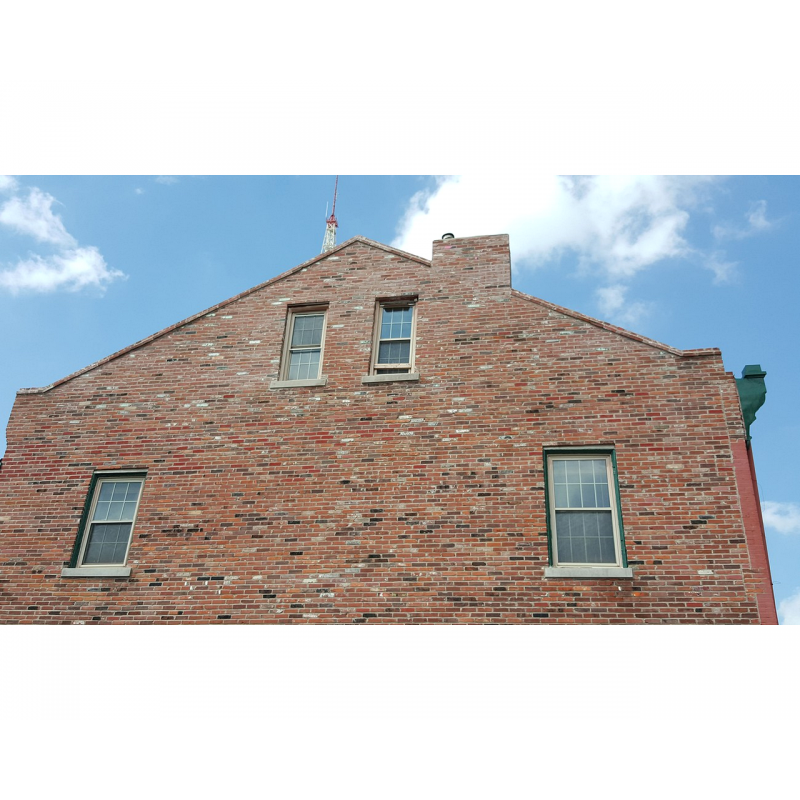 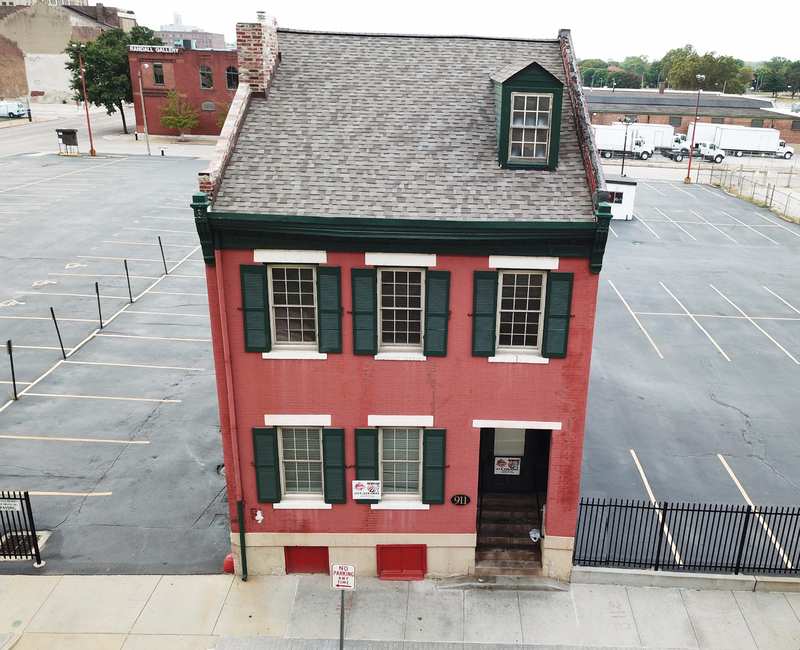 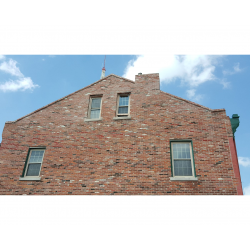 Built around 1840, the 911 N Tucker property is one of St Louis' last remaining historic row houses and pivotal architectural rock of the downtown city urban area. 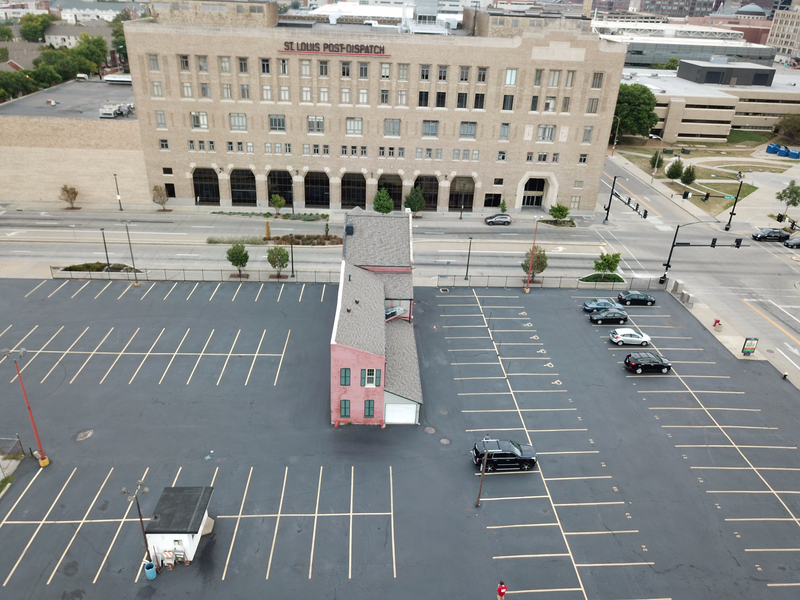 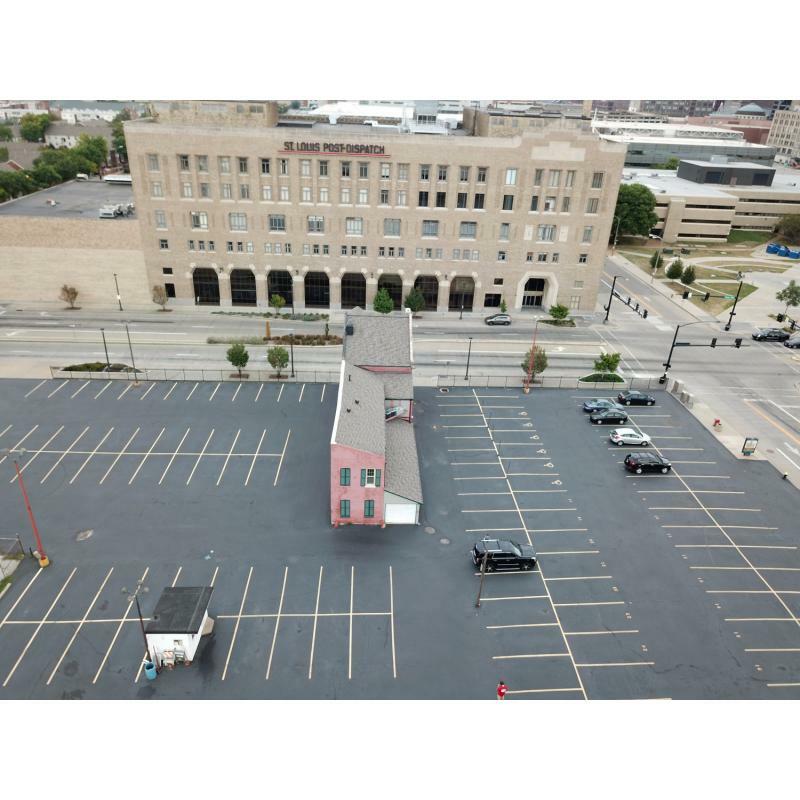 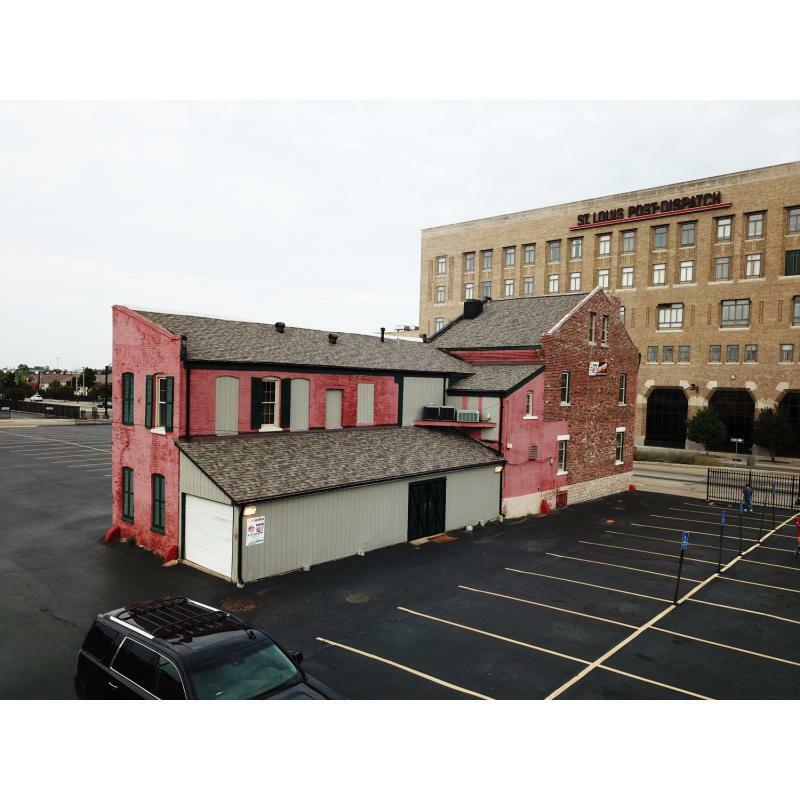 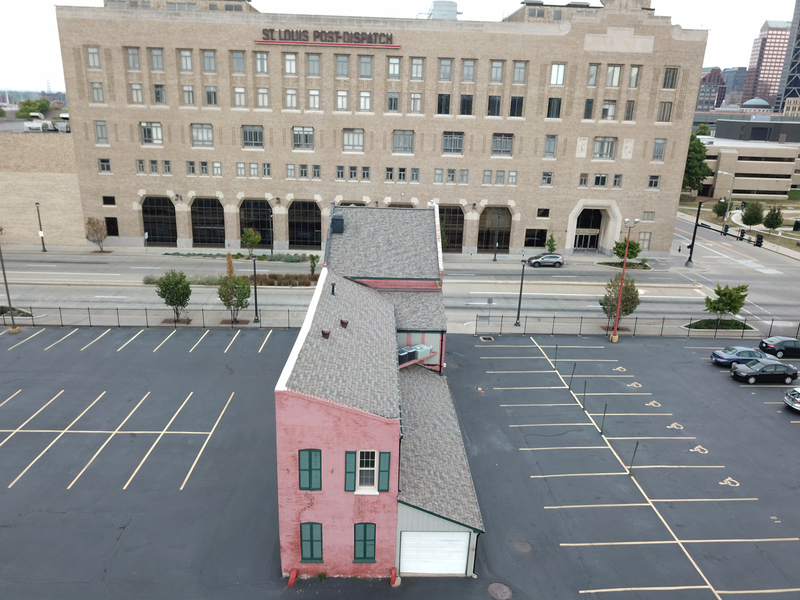 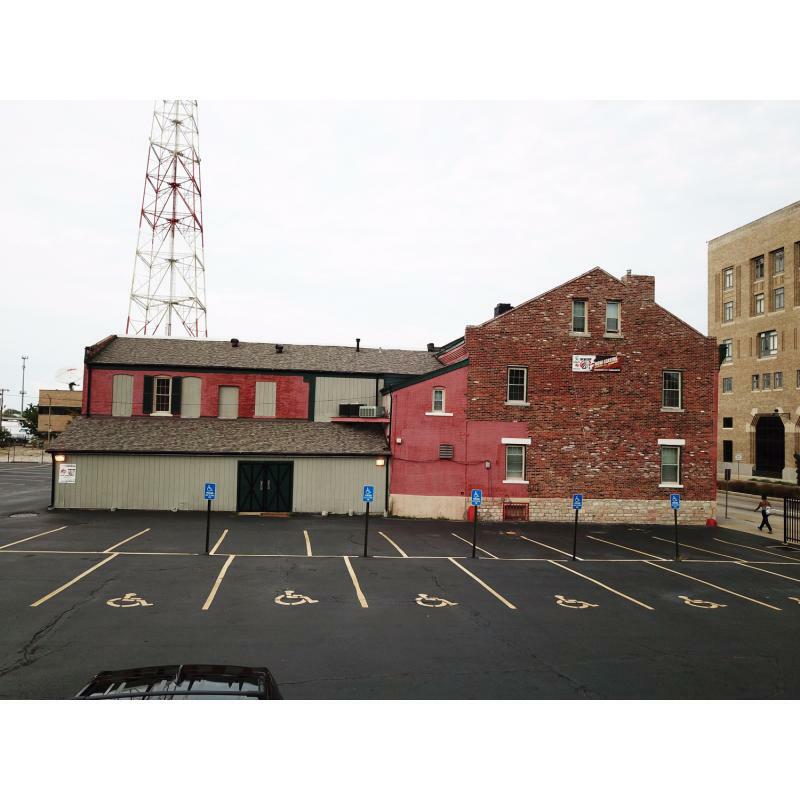 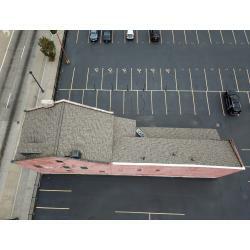 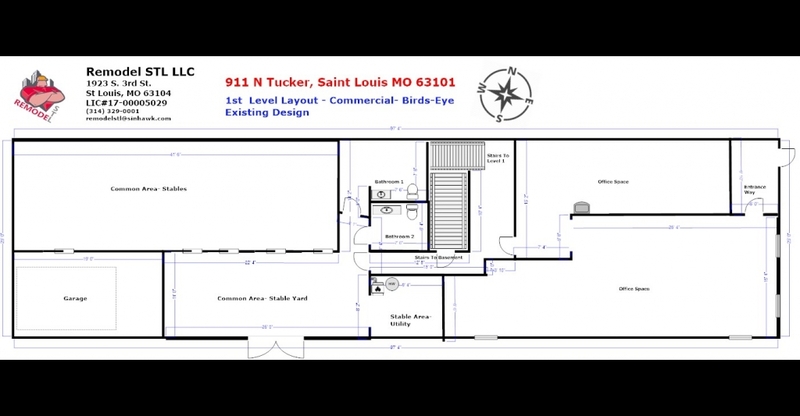 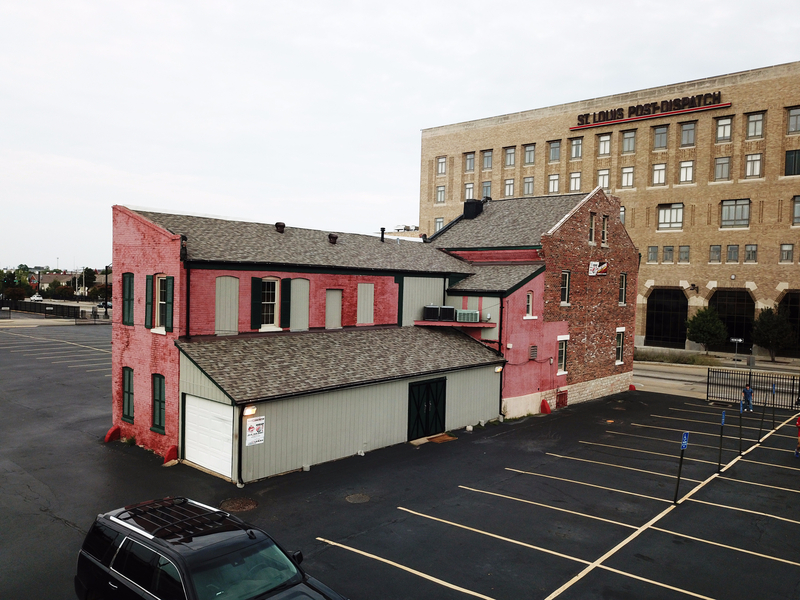 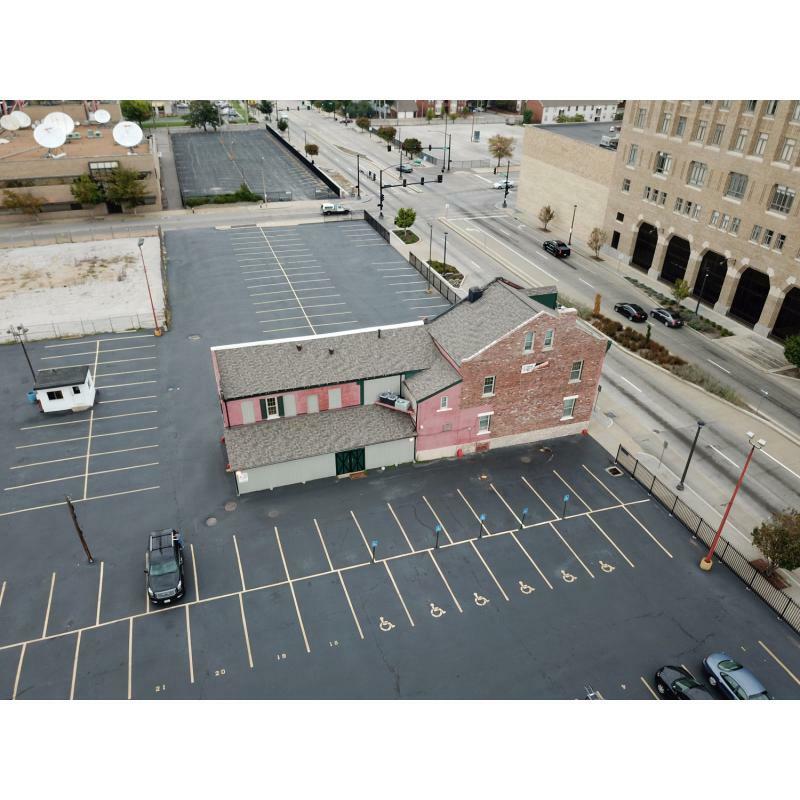 Located one block north of Washington Ave on Tucker, 911 N. Tucker is a newly remodeled split connected commercial & residential property offering unique advantages for office & galleries! 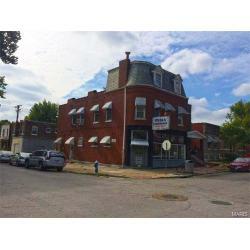 Zoned commercial & residential. 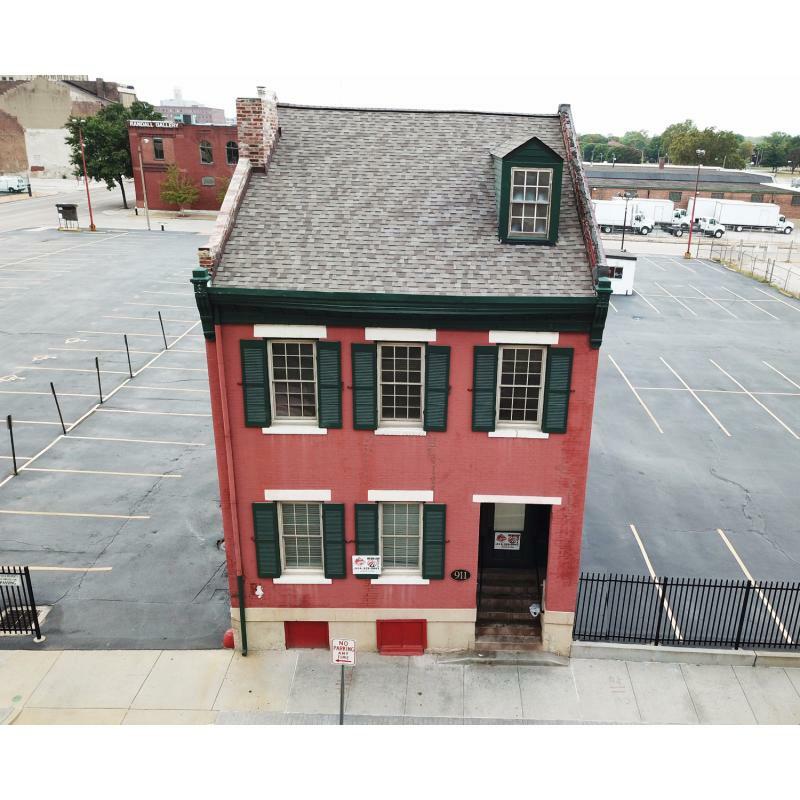 911 N Tucker aka Stagger Lees Lid Club, and its surround row houses have stood their ground since 1840 experiencing a plethora of historical happenings and strange occurrences including famous musicians, artists, politicians and troublemakers. 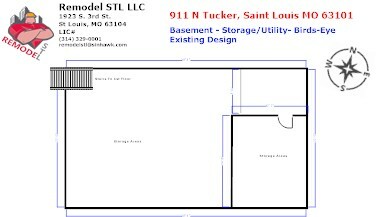 911 N Tucker is the last remaining Saint Louis Federal architecture row-house building from that era when the area was a bustling densely packed residential neighborhood. 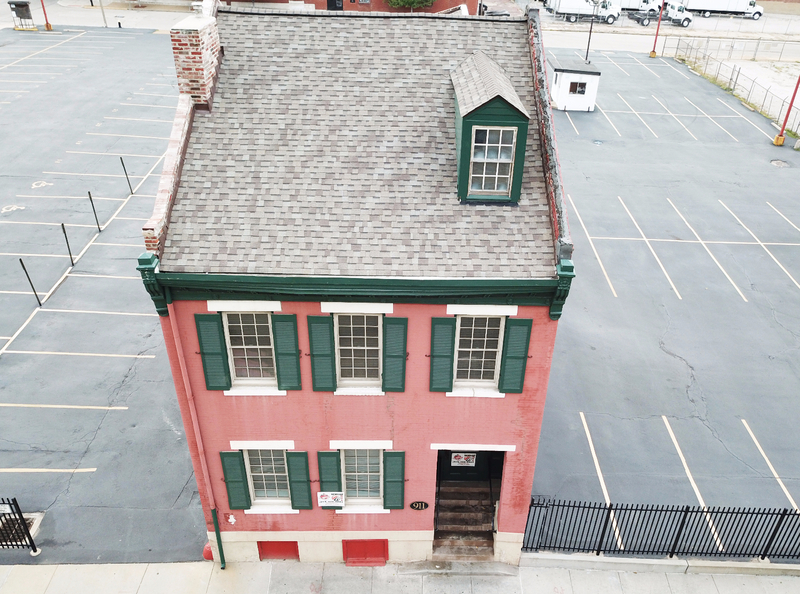 Used as housing for the firm tradition of immigration, this location was once home to German, Jewish, Italian, Polish and a plethora of other Europeans as they built this city. 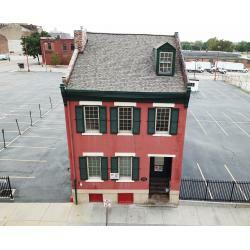 The types of people who lived in these houses during that time included: working-class newlyweds, racetrack jockeys, vaudeville workers, saloon owners, and a politically-involved class of young African American men. 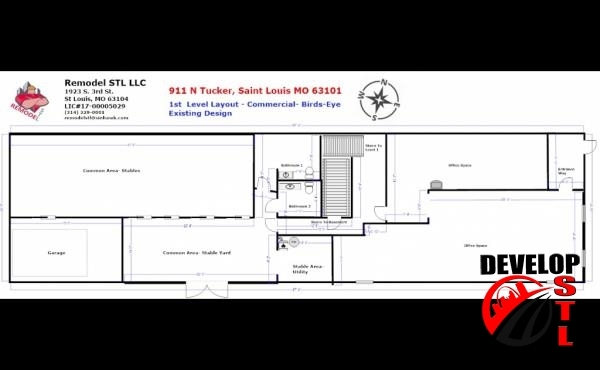 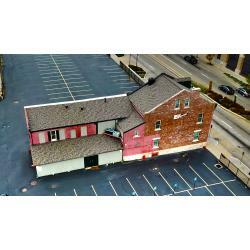 In 1923 911 Tucker was the location of a speakeasy, boarding house and rumored bordello owned by Salvatore “Sam” Domenico. 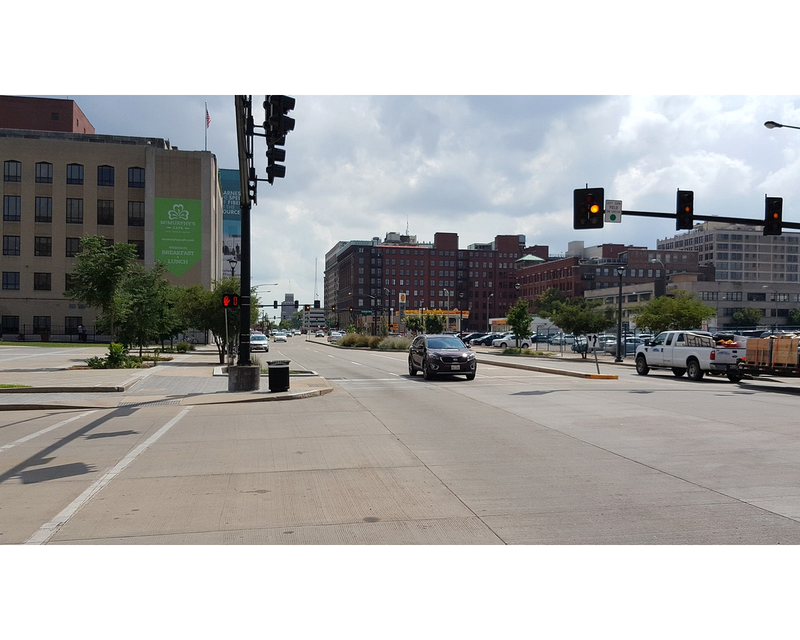 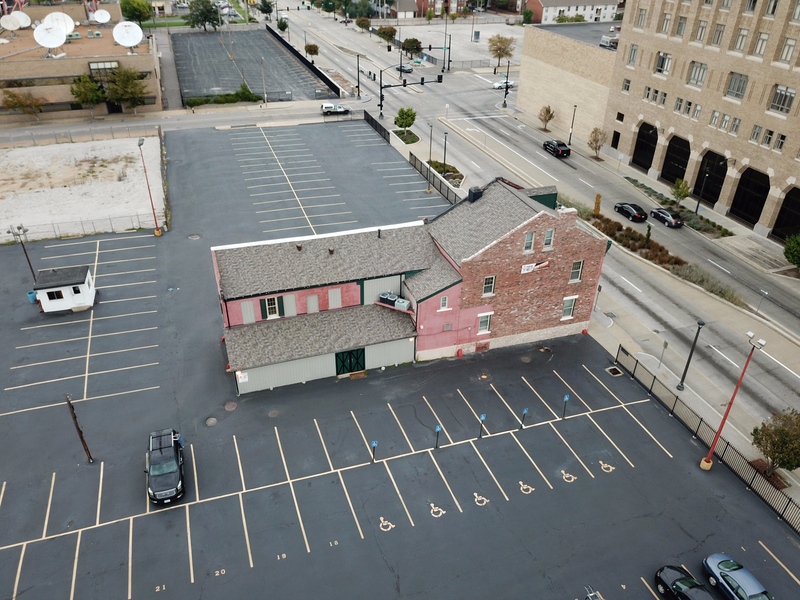 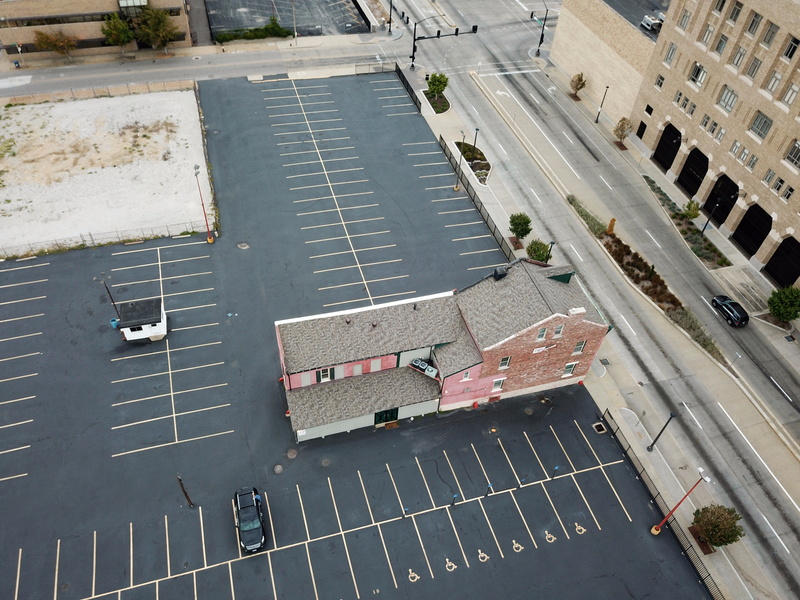 It was over the 50 years of his ownership the surround Federal-style rowhouses were torn down to create the now existing St Louis Post-Dispatch parking lots. 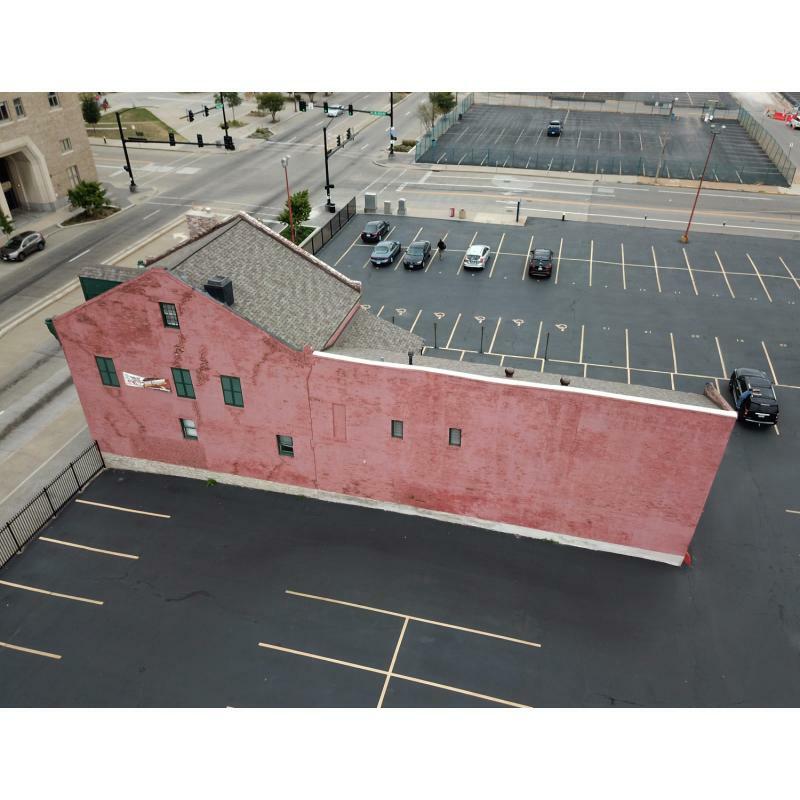 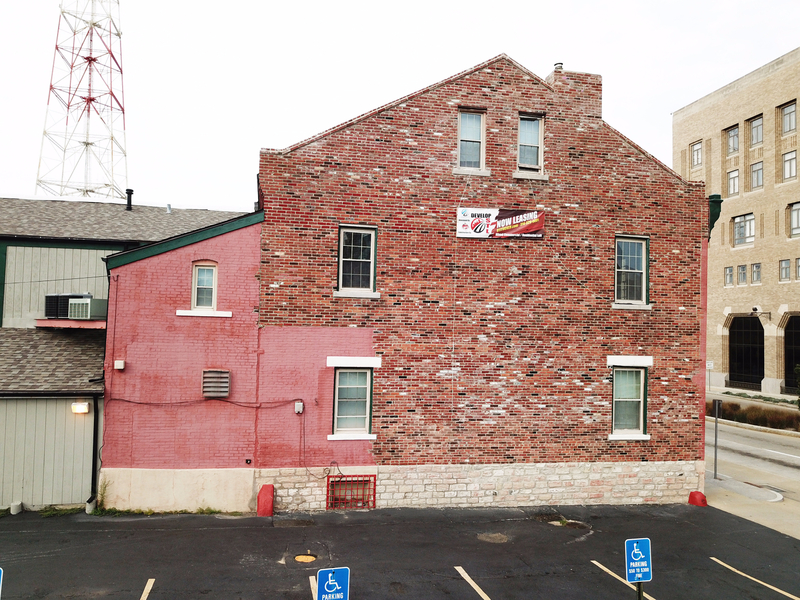 In 1979 a restaurant took up classy surroundings as the building itself was added to the St Louis City Landmark List #106. 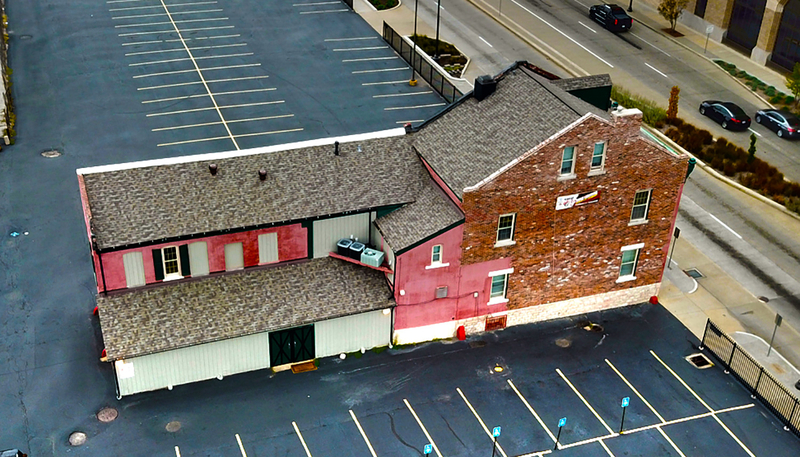 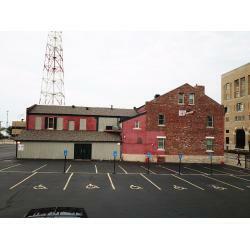 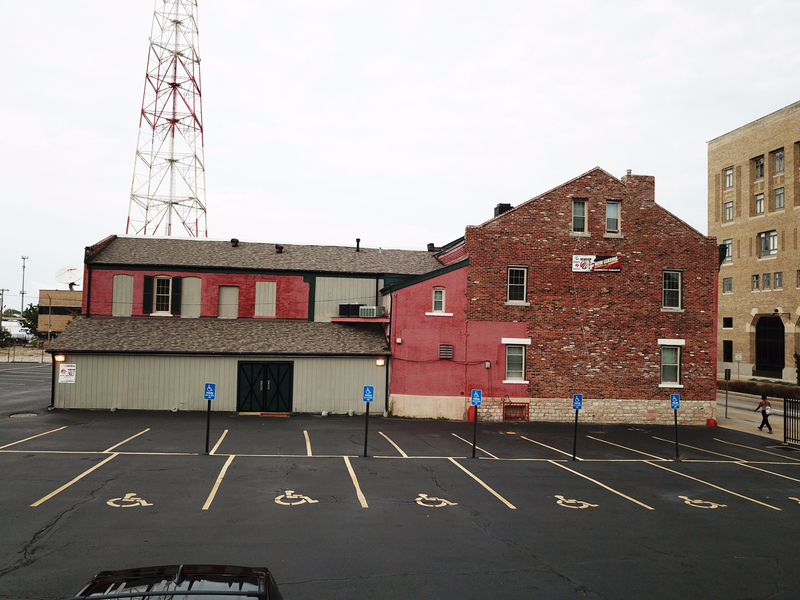 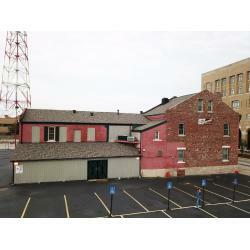 In the 80s-90s the location was the St Louis City Police Mounted Division Unit Headquarters with original stables. 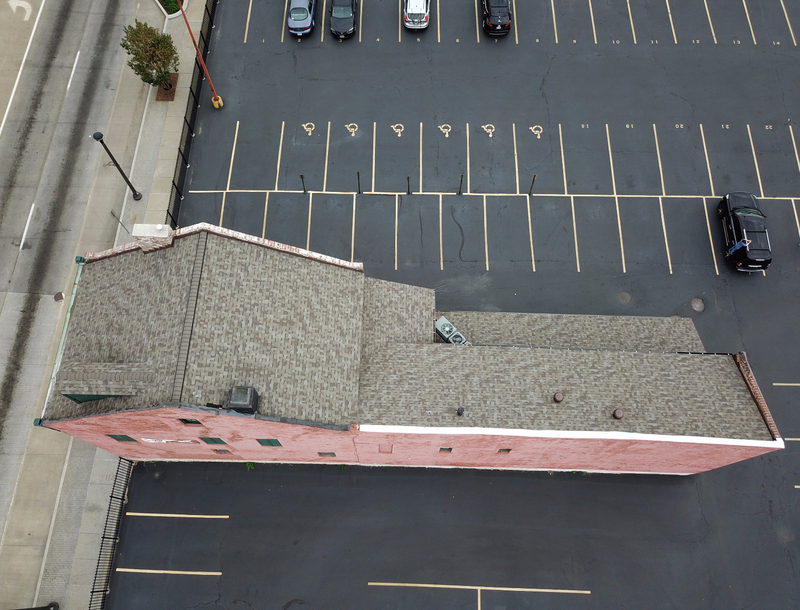 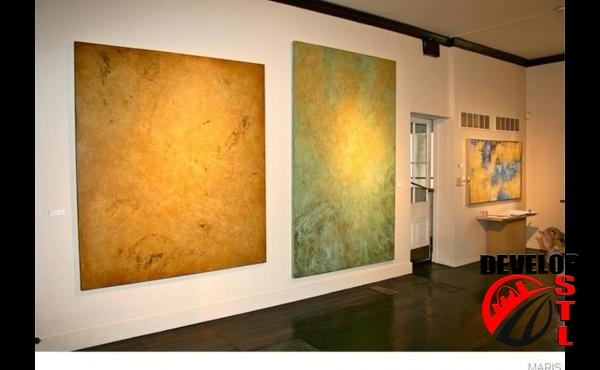 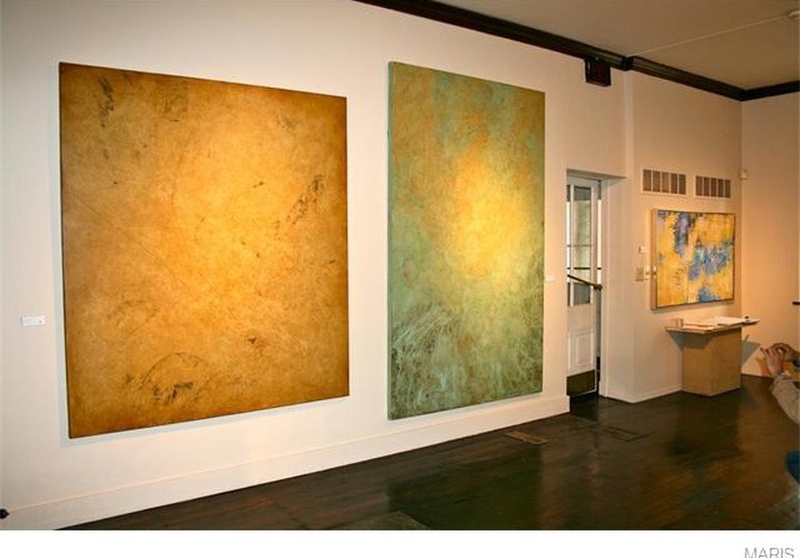 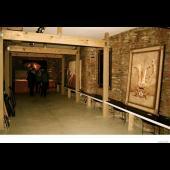 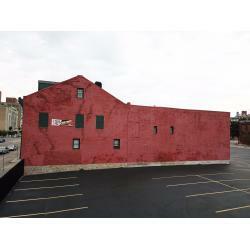 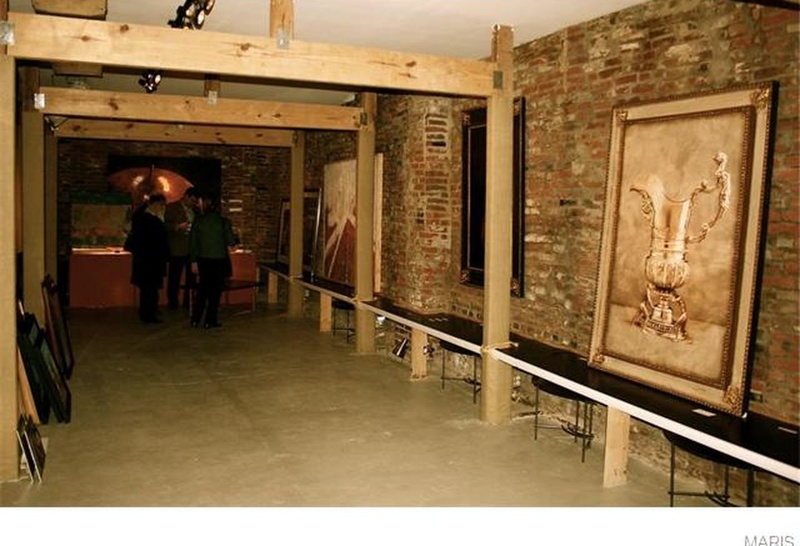 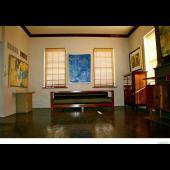 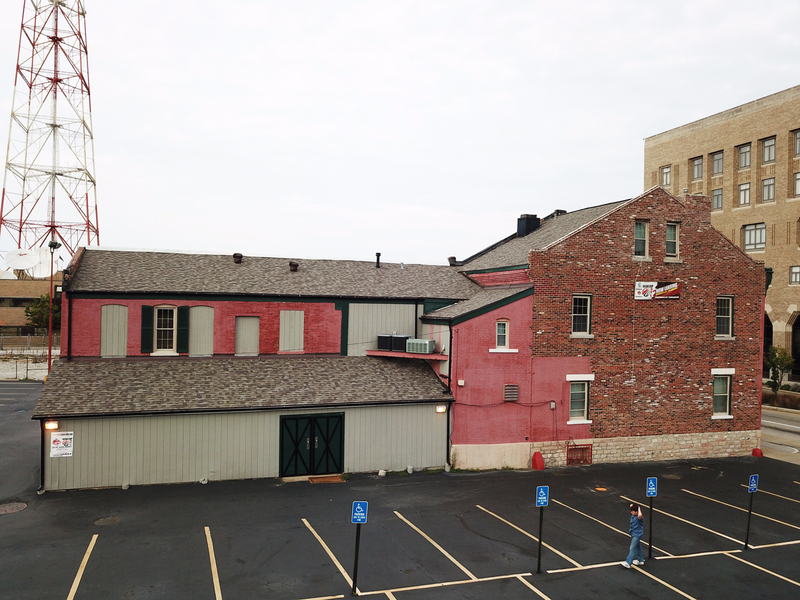 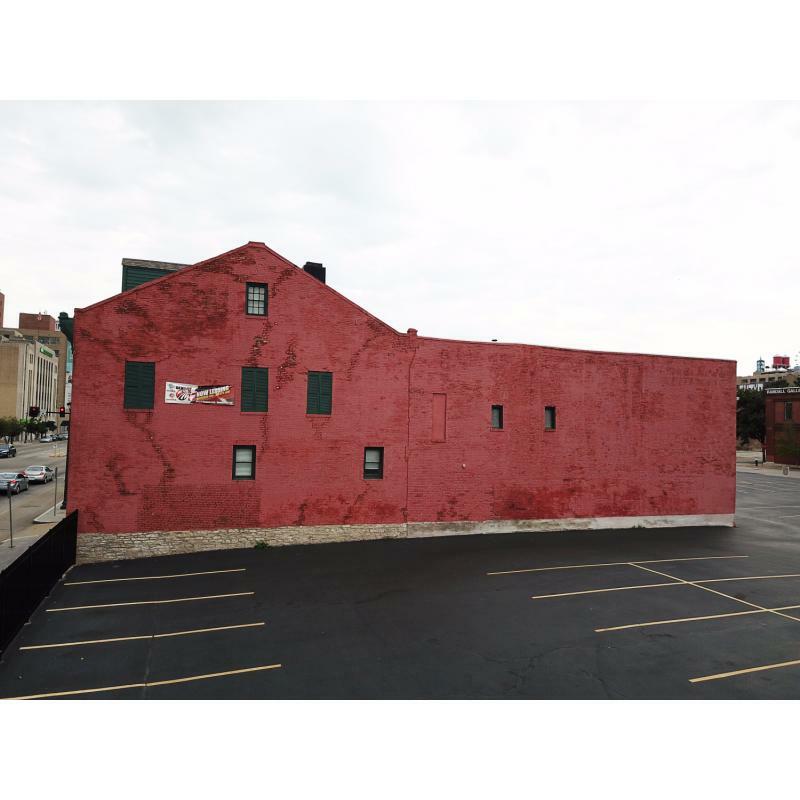 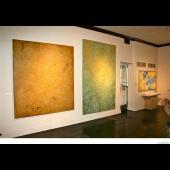 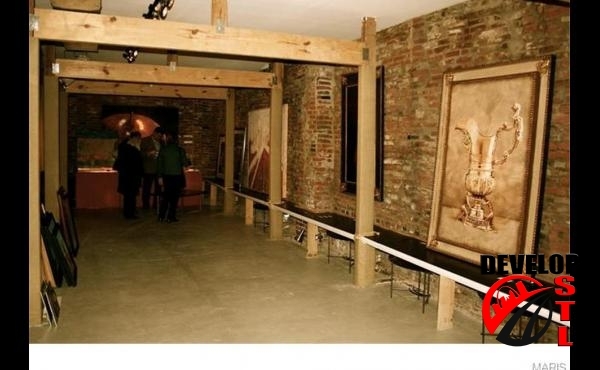 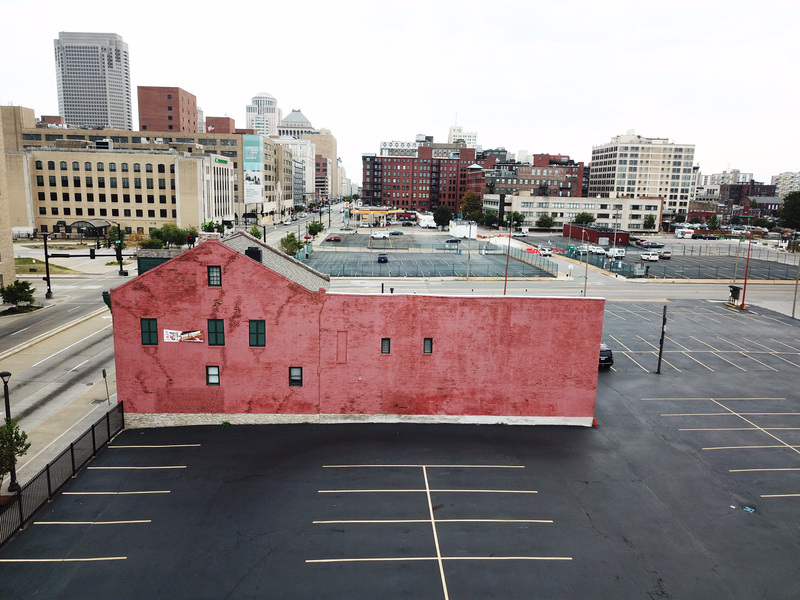 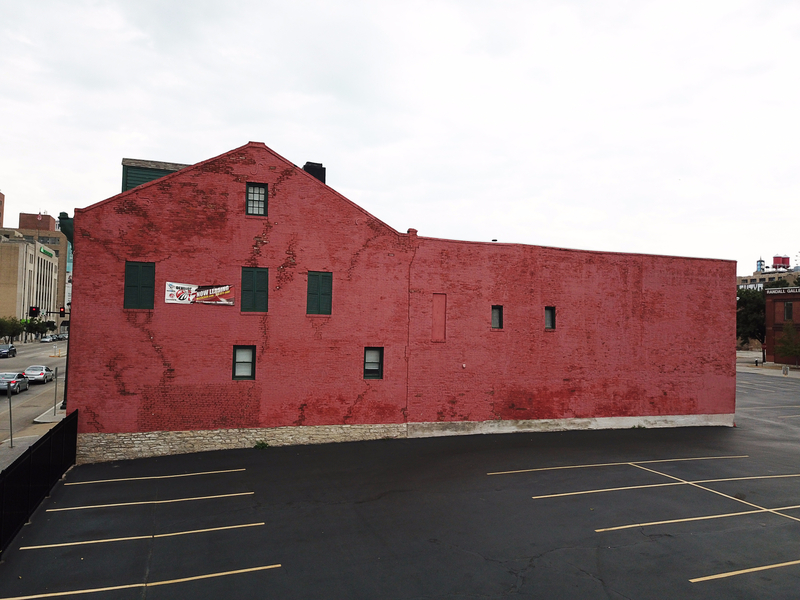 In 2013, 911 N Tucker was the site of the Rowhouse Gallery of artist Drew Wojcik. 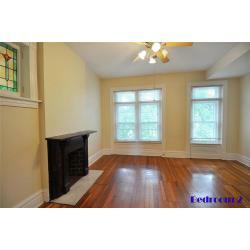 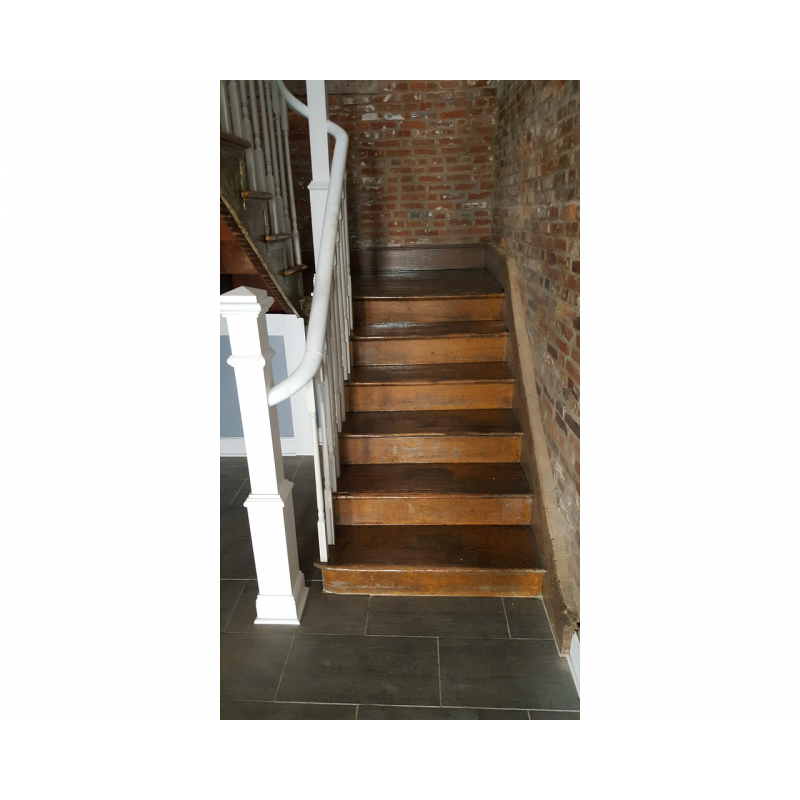 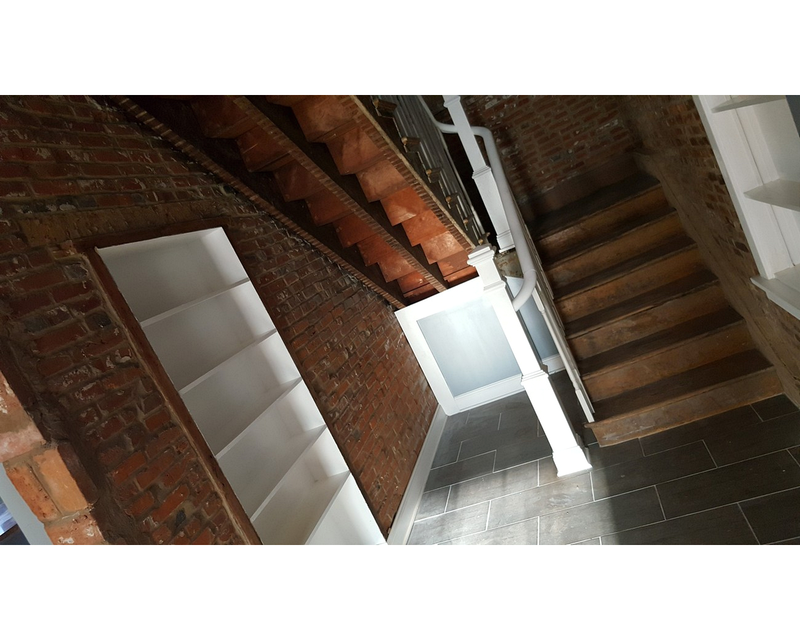 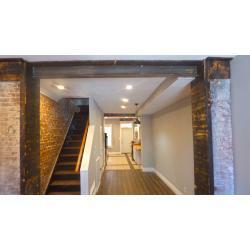 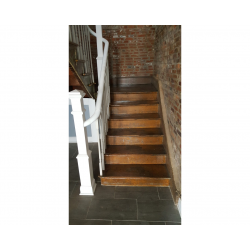 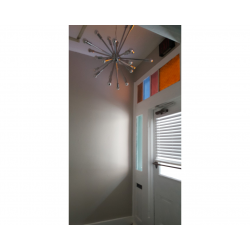 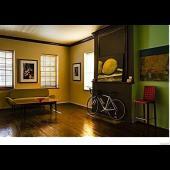 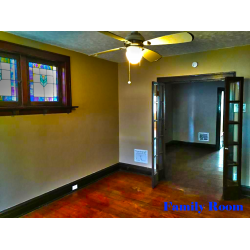 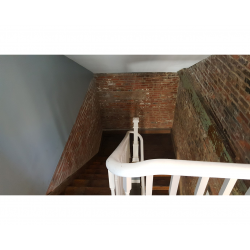 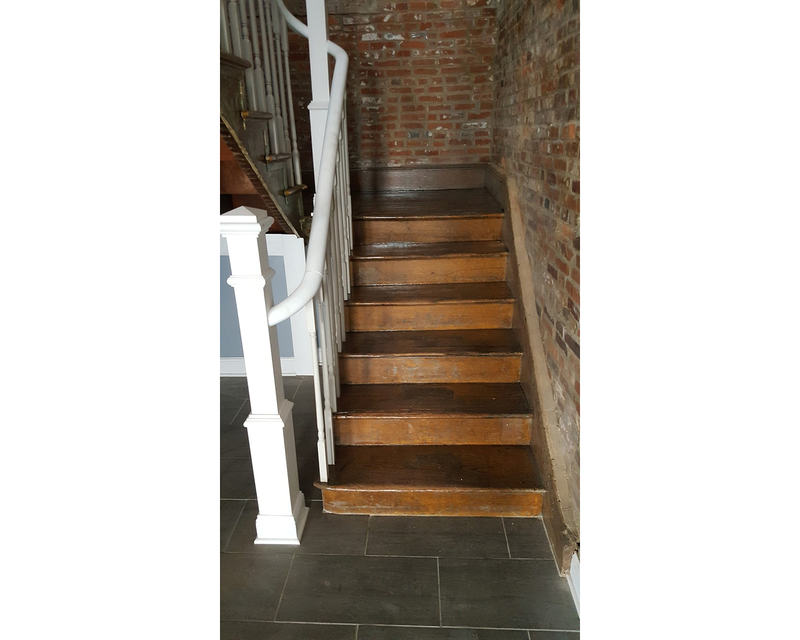 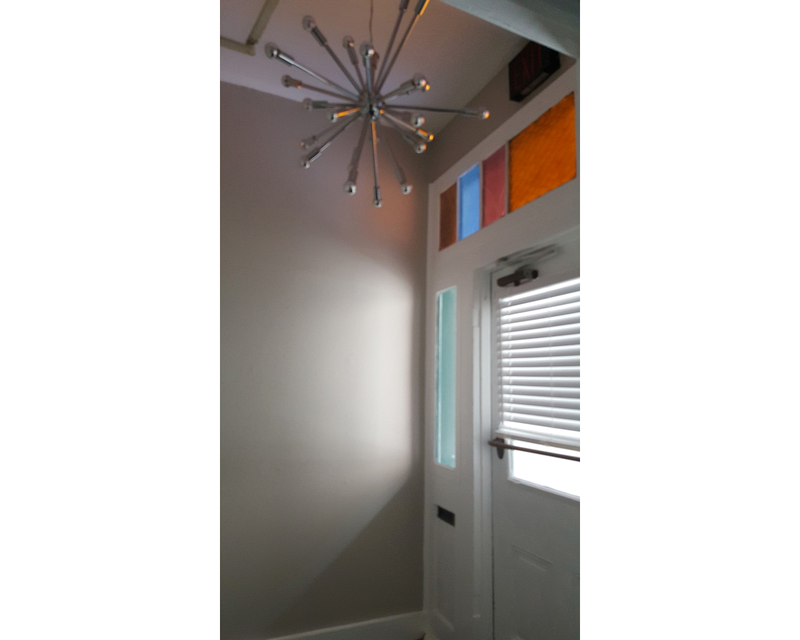 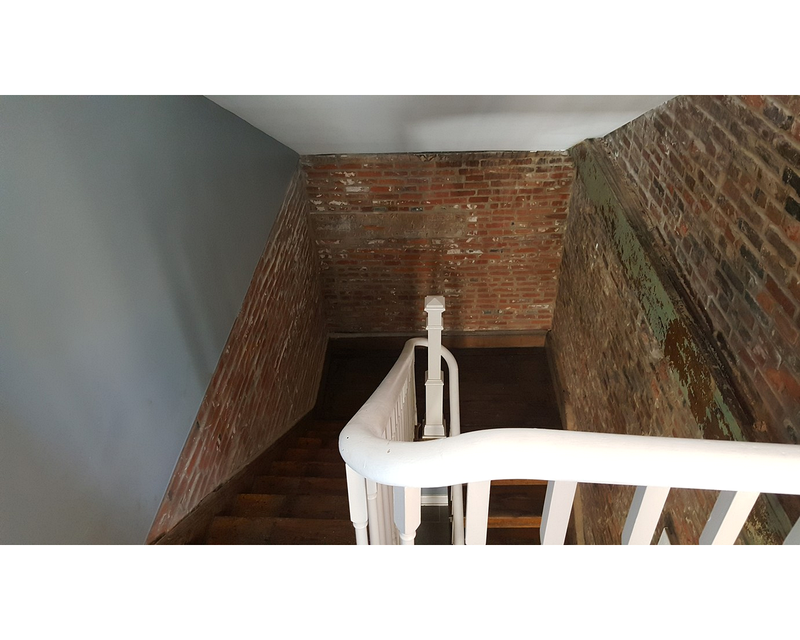 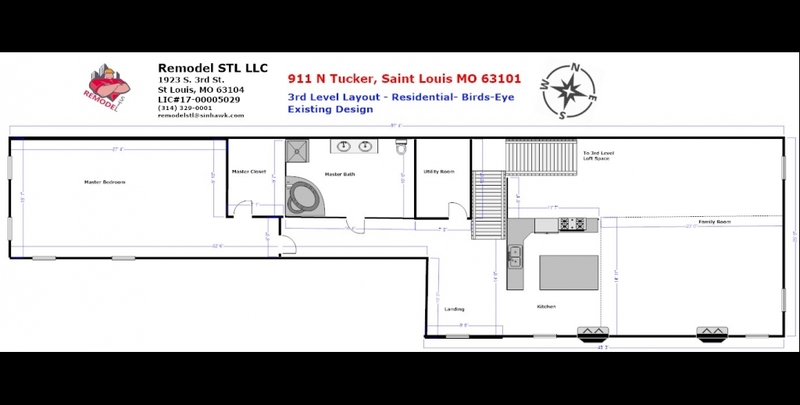 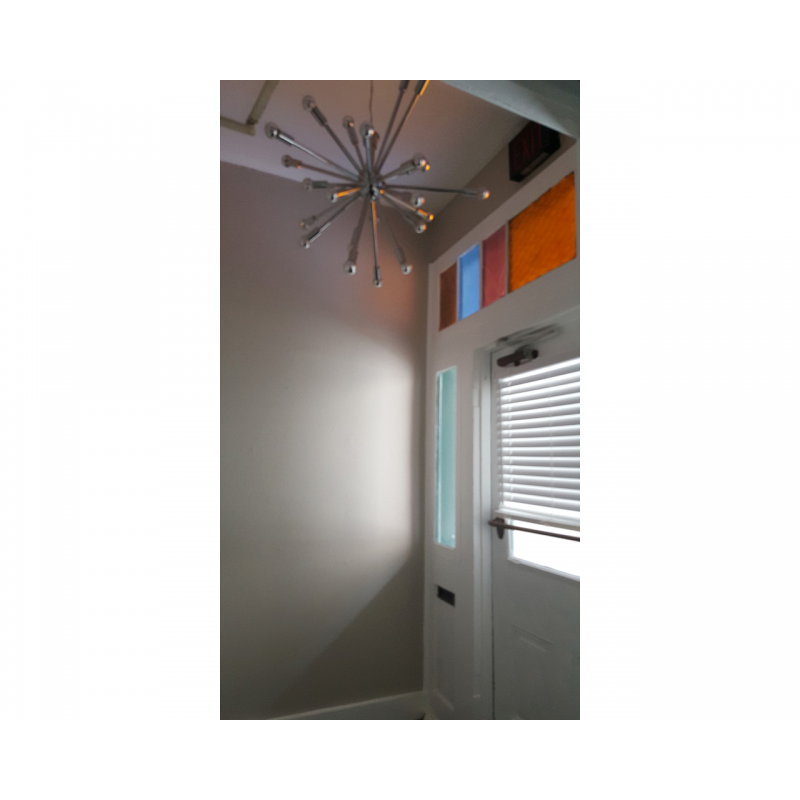 The property was remodeled then accenting its historical charm and immerse St Louis aesthetic appeal. 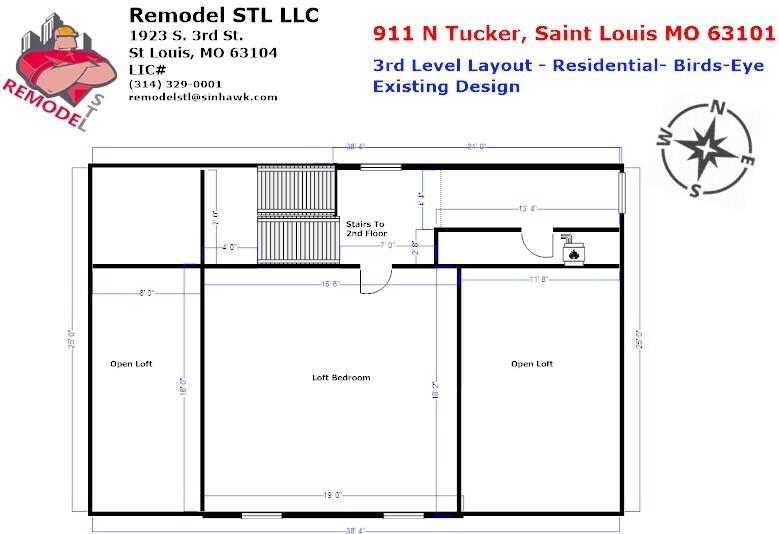 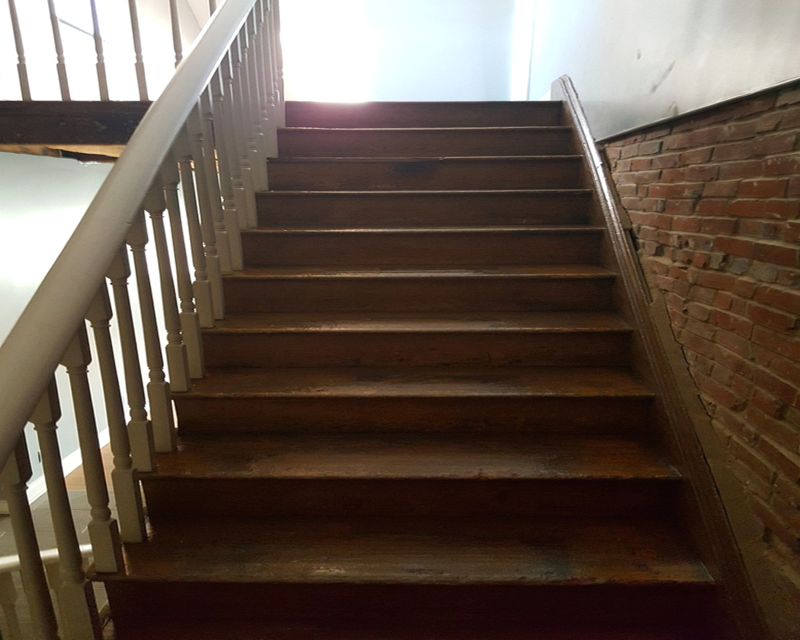 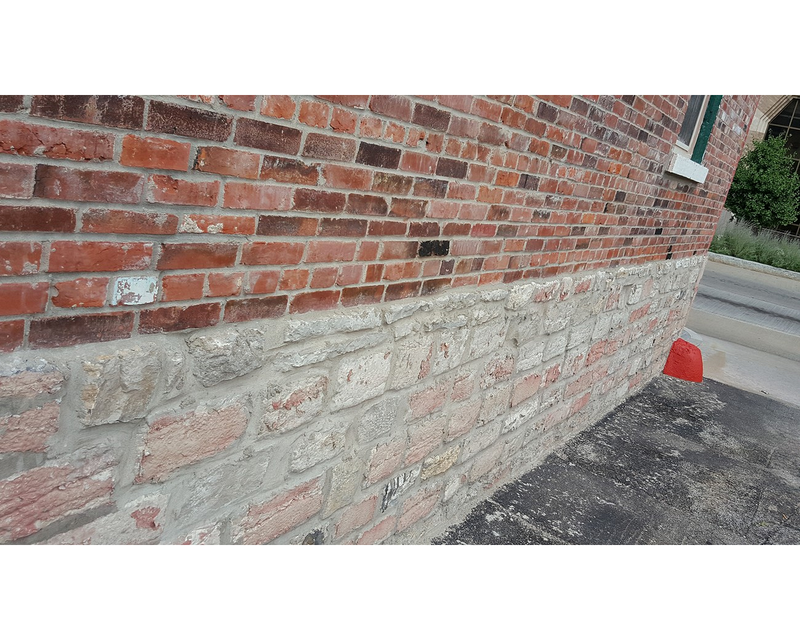 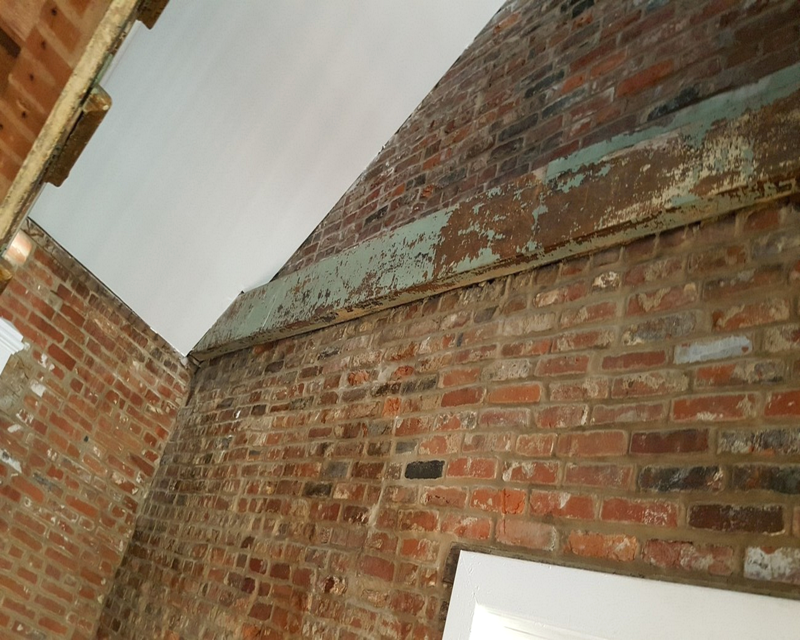 In 2016 Remodel STL remodeled the interior and exterior including a full southern three-story wall rebuild to historical standards. 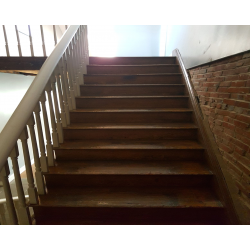 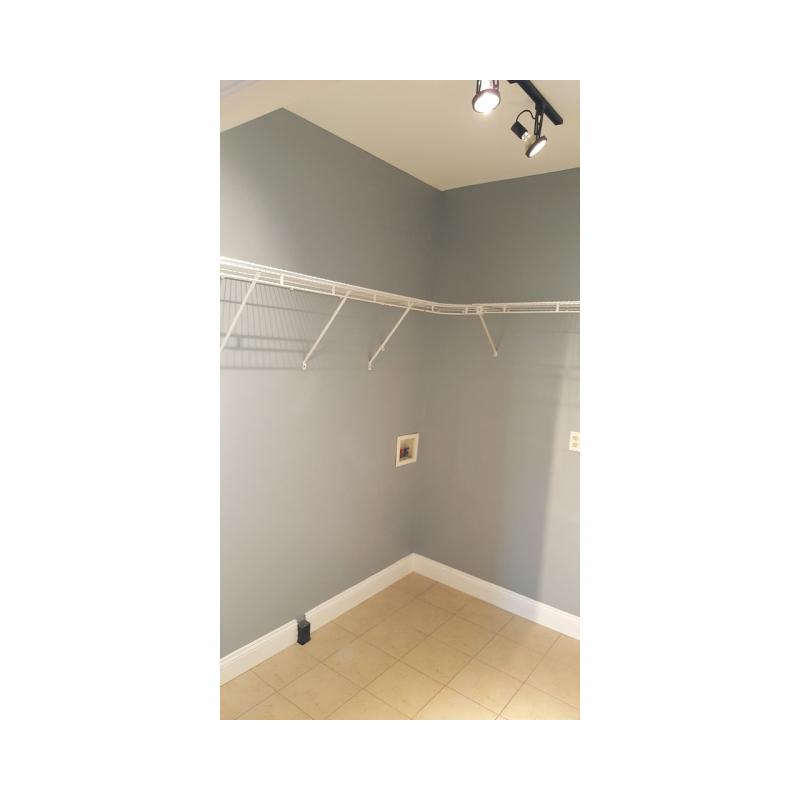 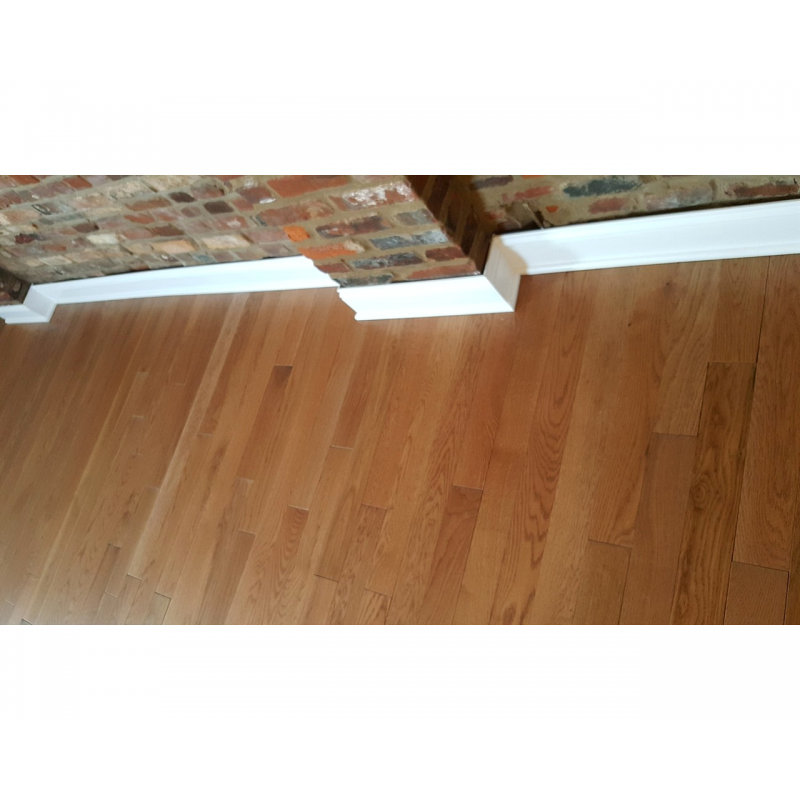 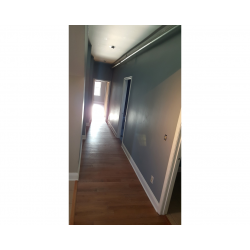 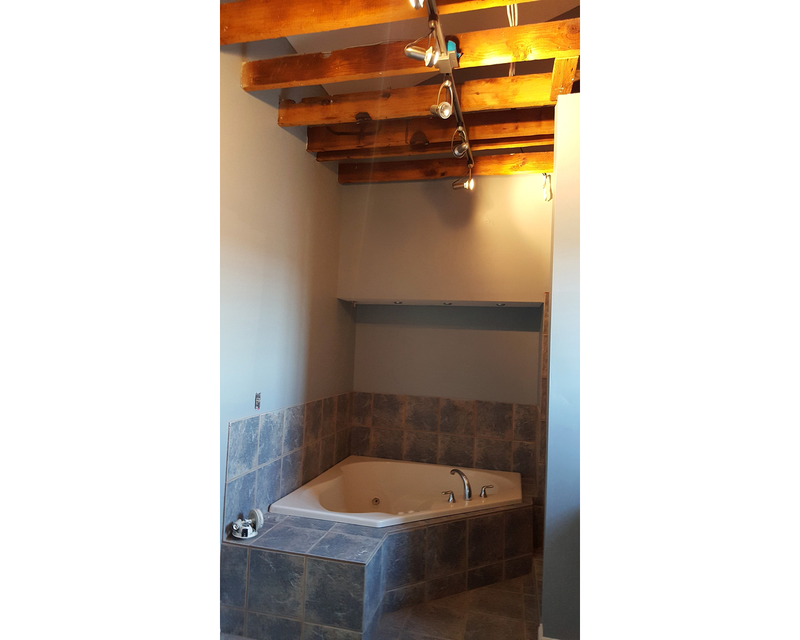 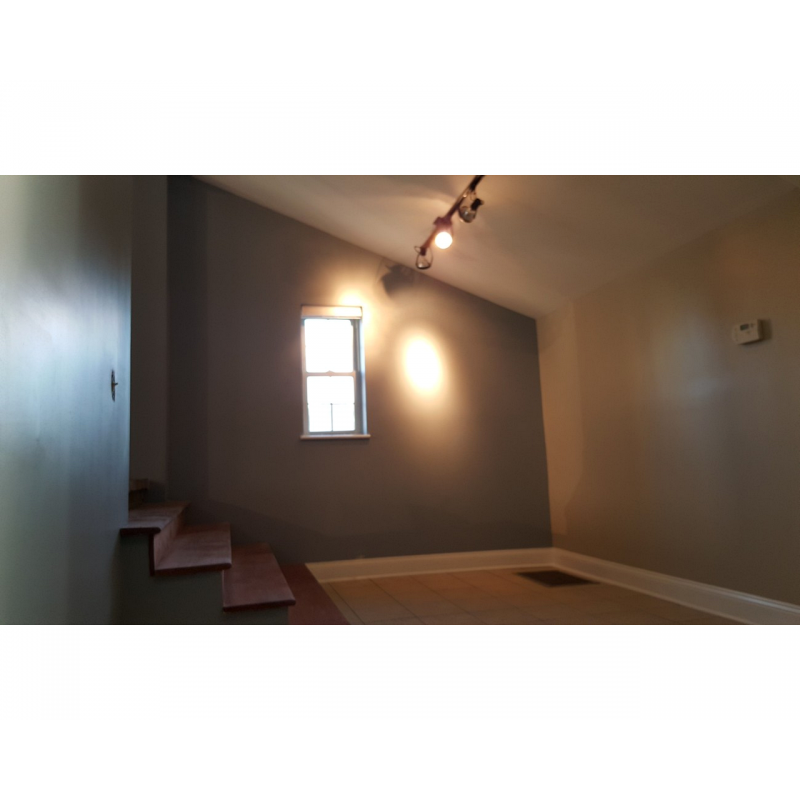 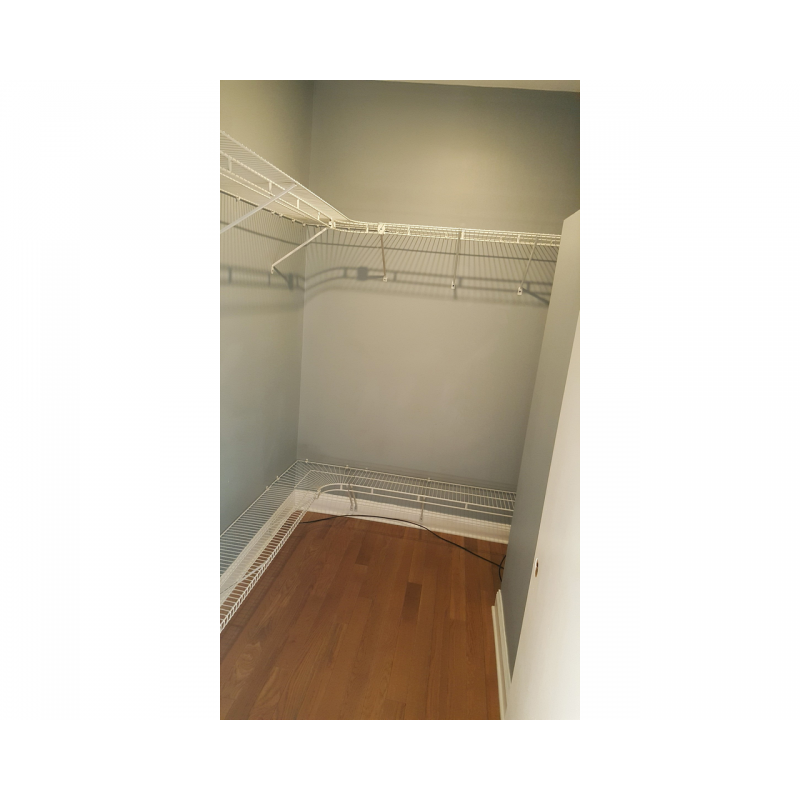 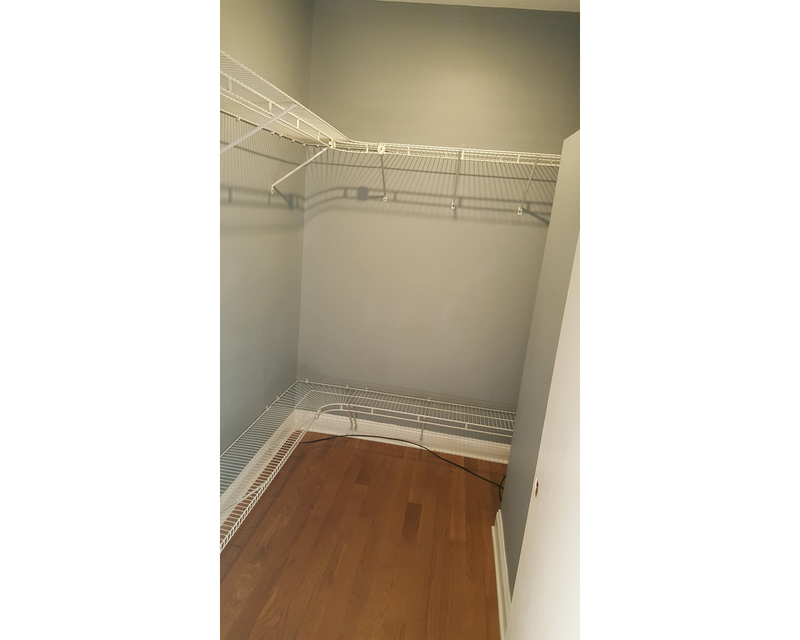 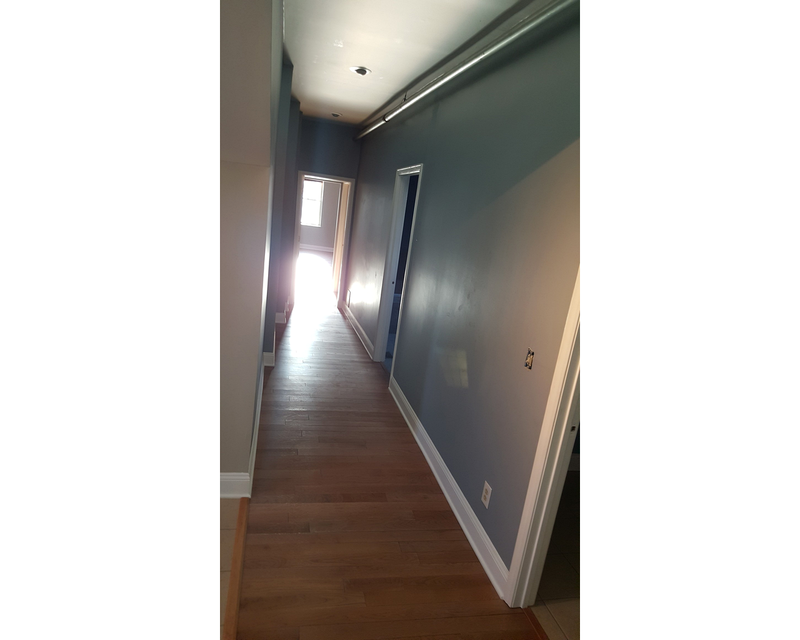 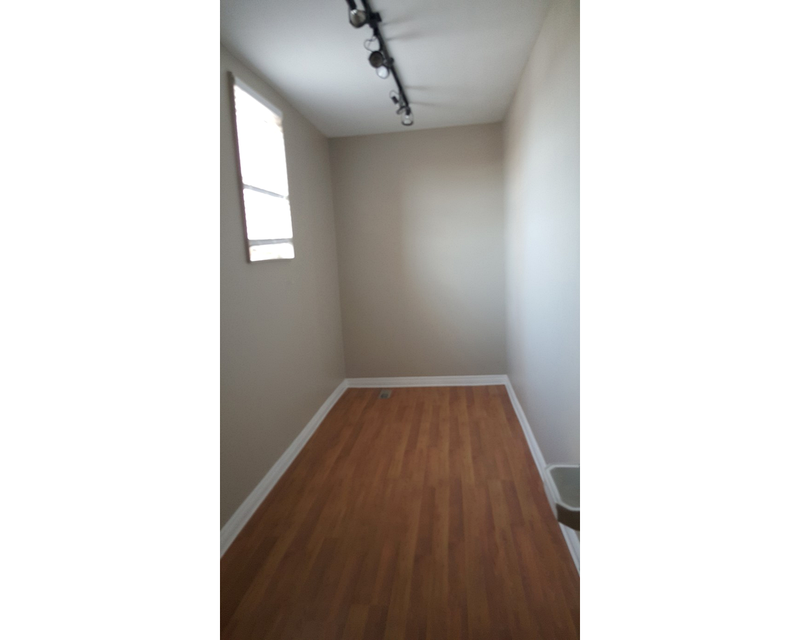 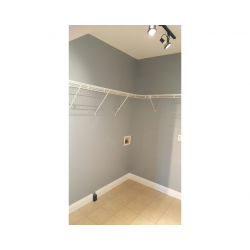 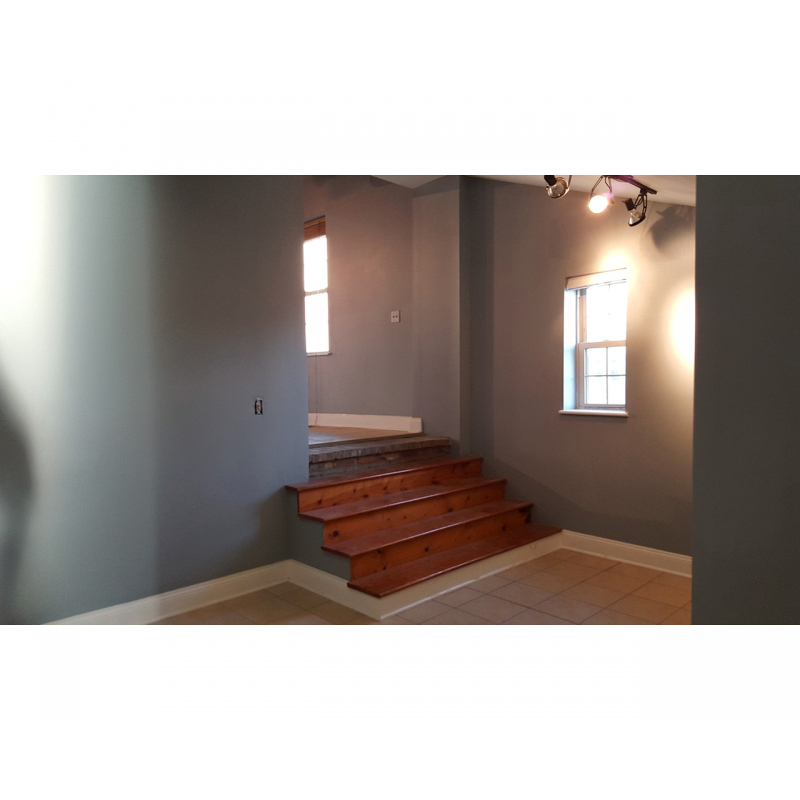 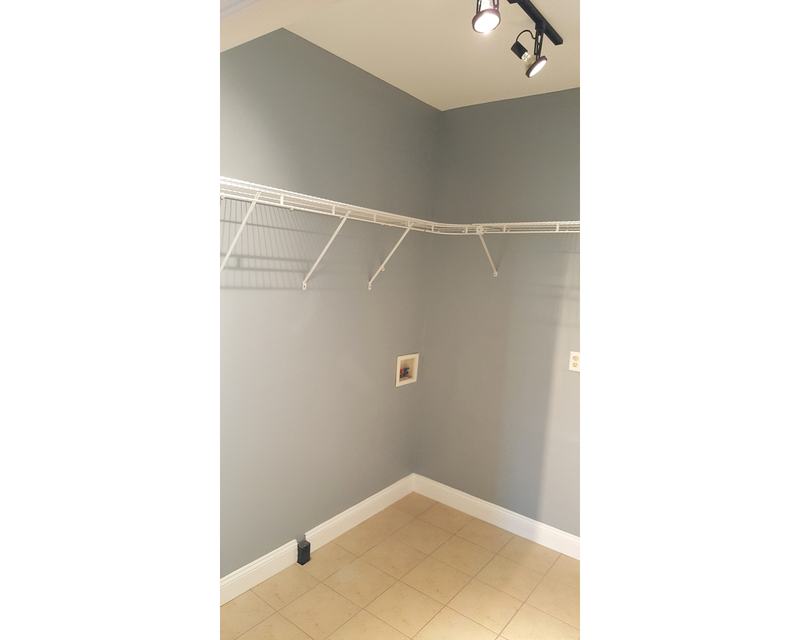 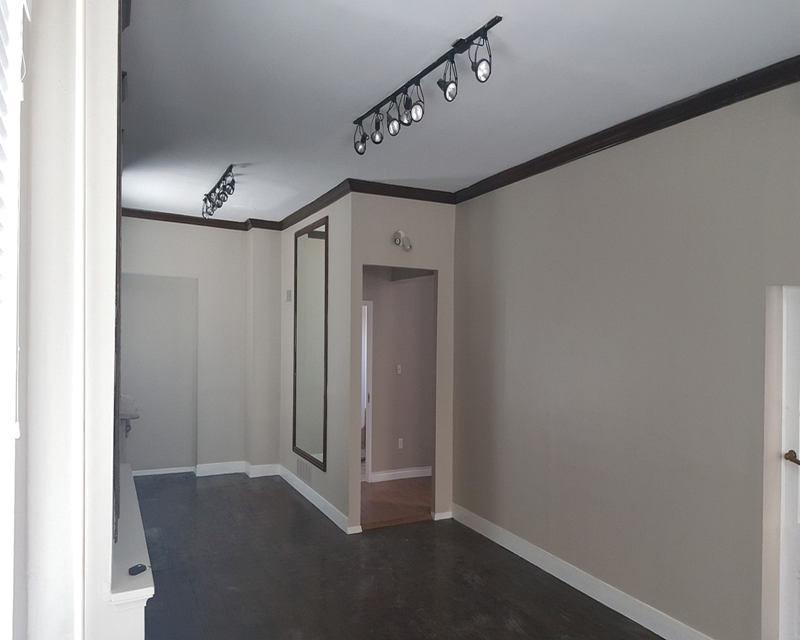 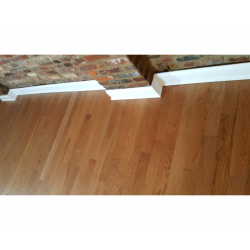 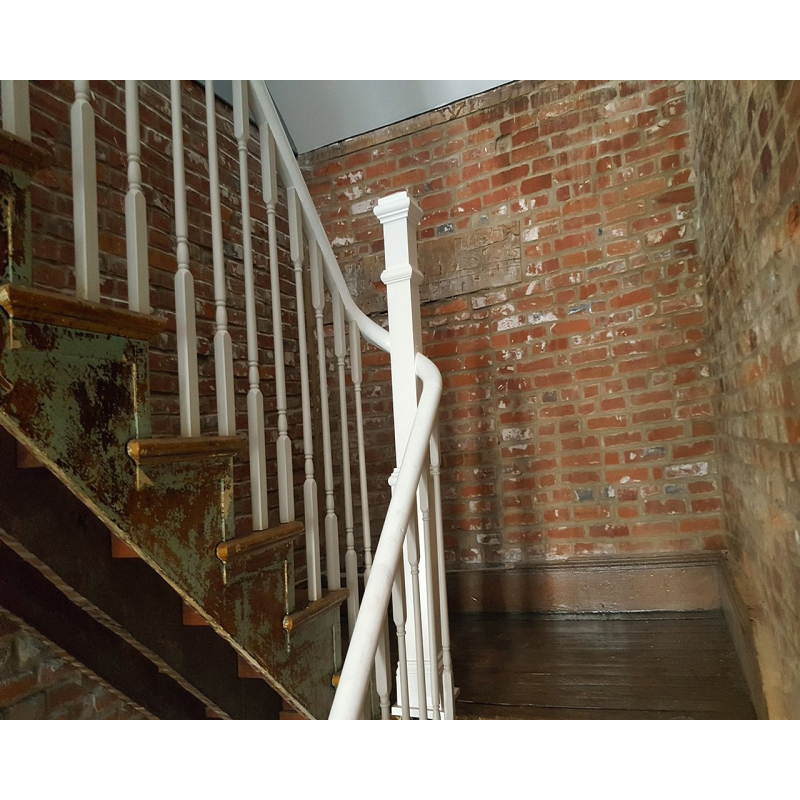 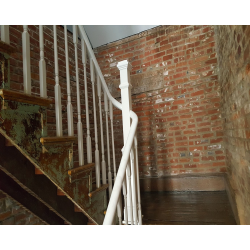 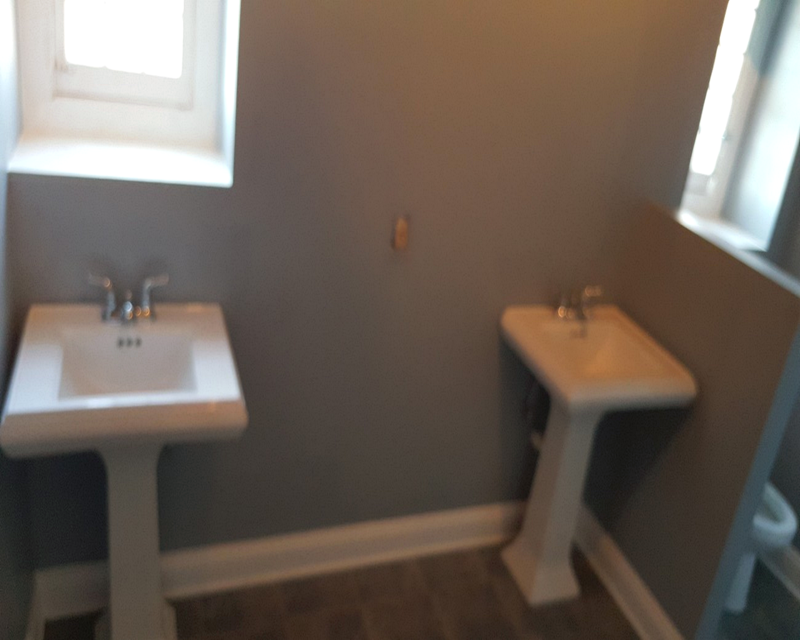 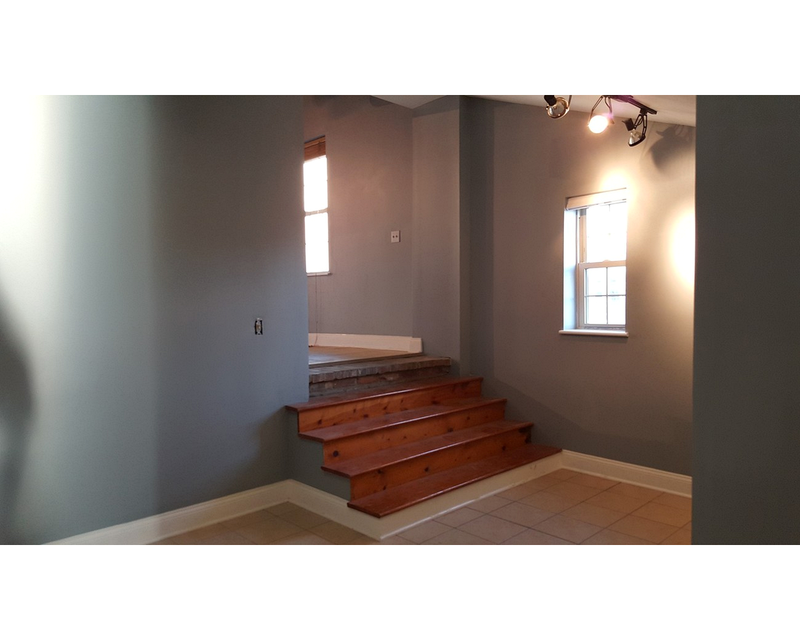 This historic remodel included many corrections, upgrades and style additions including hardwood flooring is now throughout, remodeled bathrooms, bedrooms, commercial area and living areas. 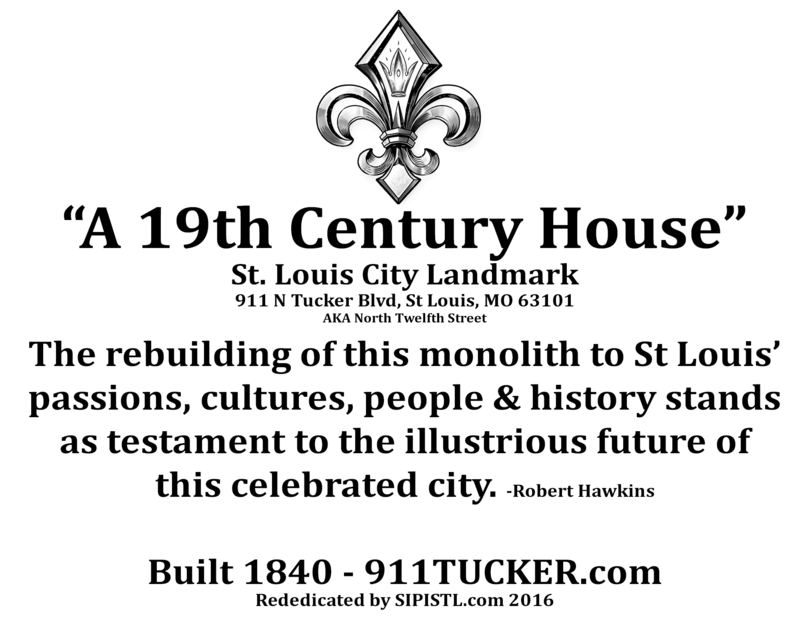 Want to be written into the pages of Saint Louis history? 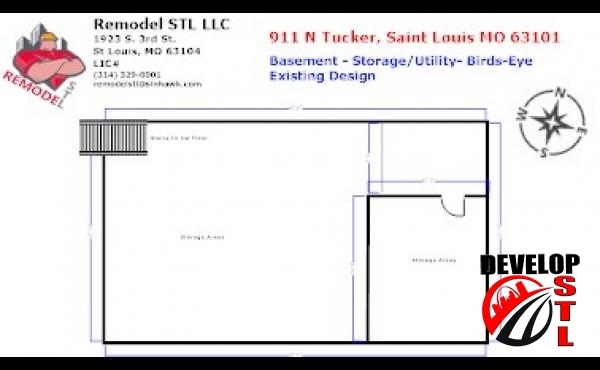 Contact Us About 911 Tucker! 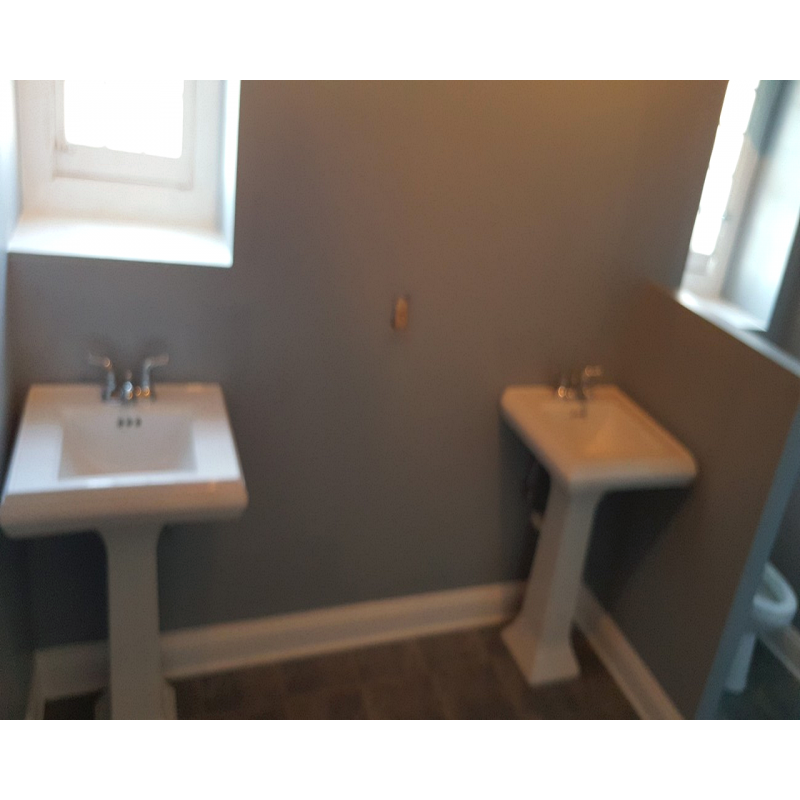 Gas/Electric/Water all metered to one account to simplify bookkeeping! 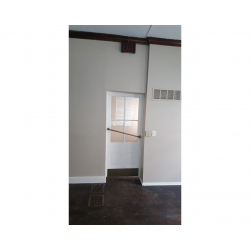 Ruff In Ready or turnkey! 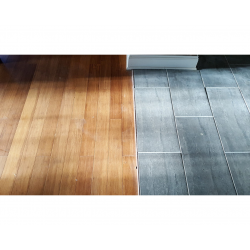 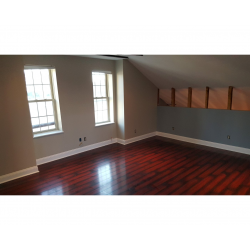 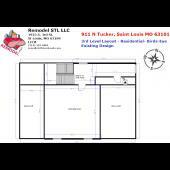 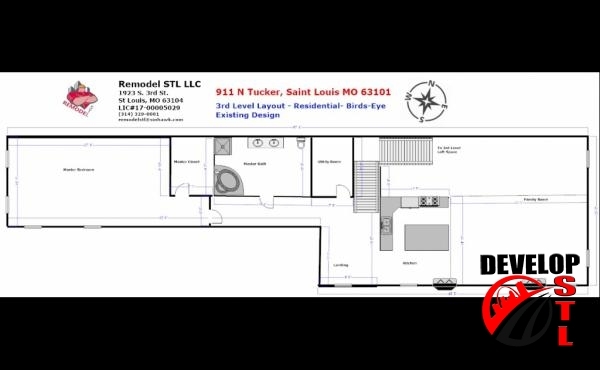 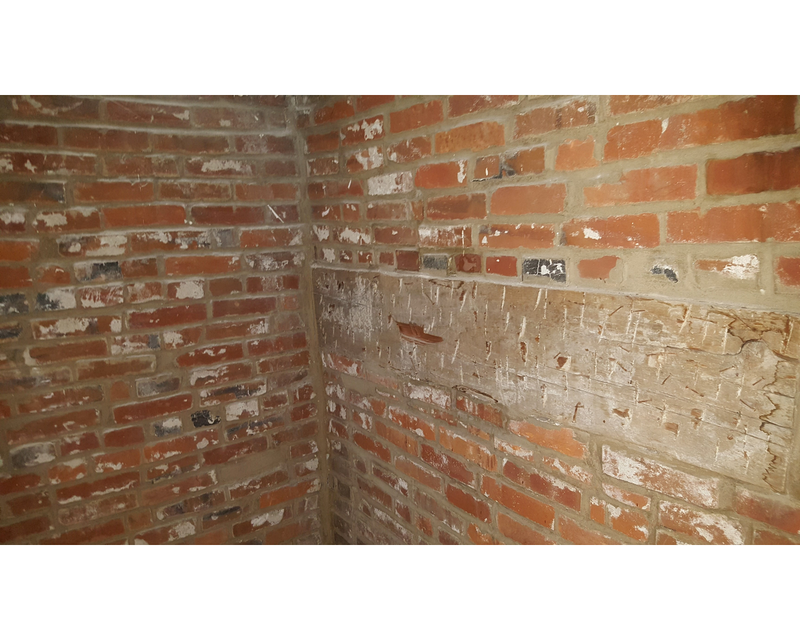 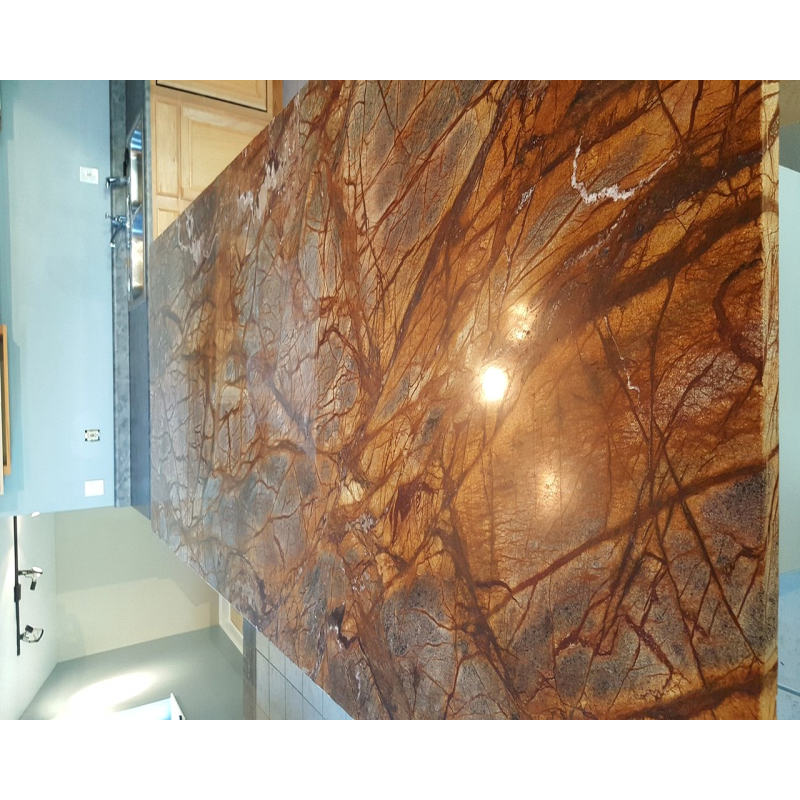 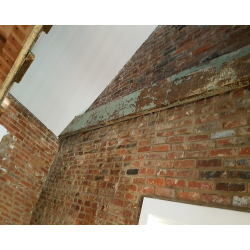 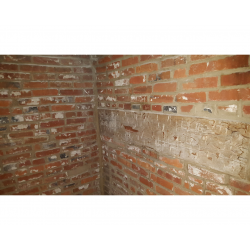 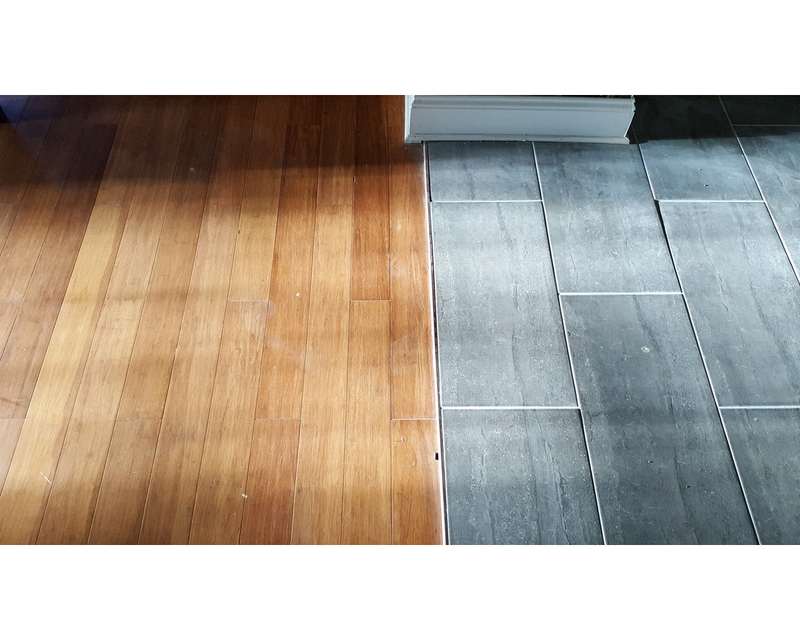 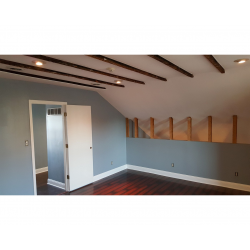 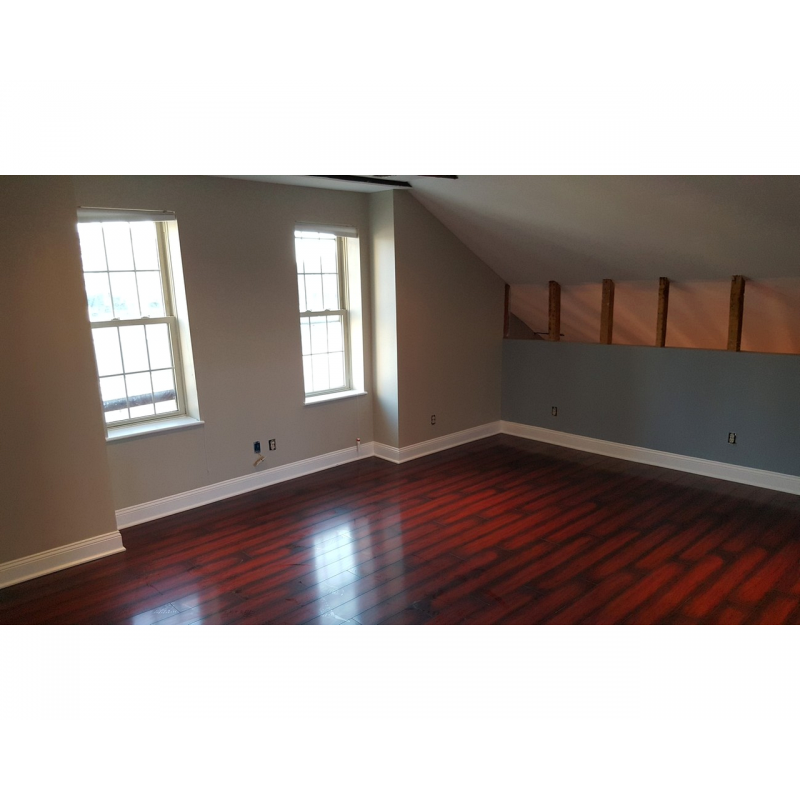 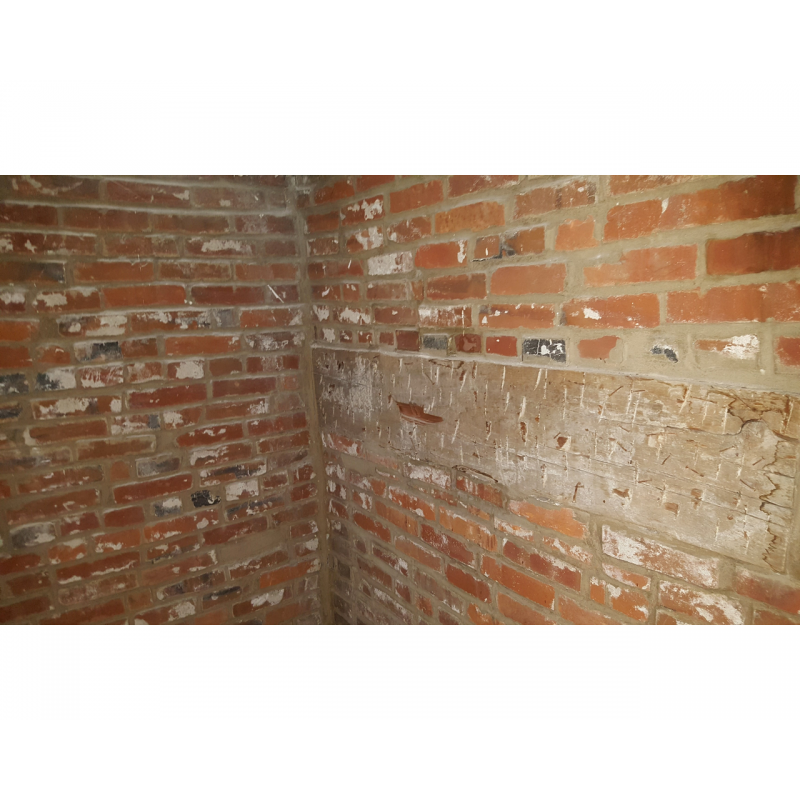 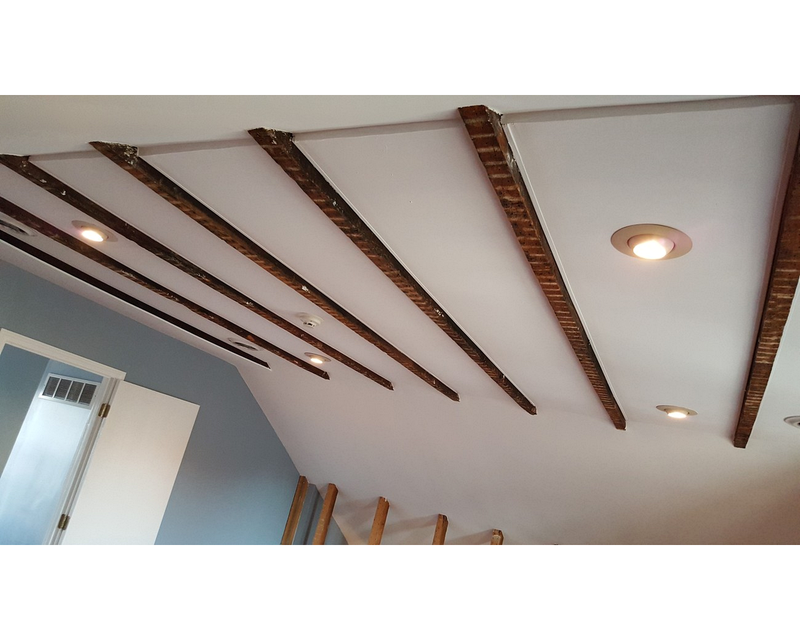 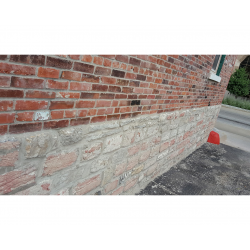 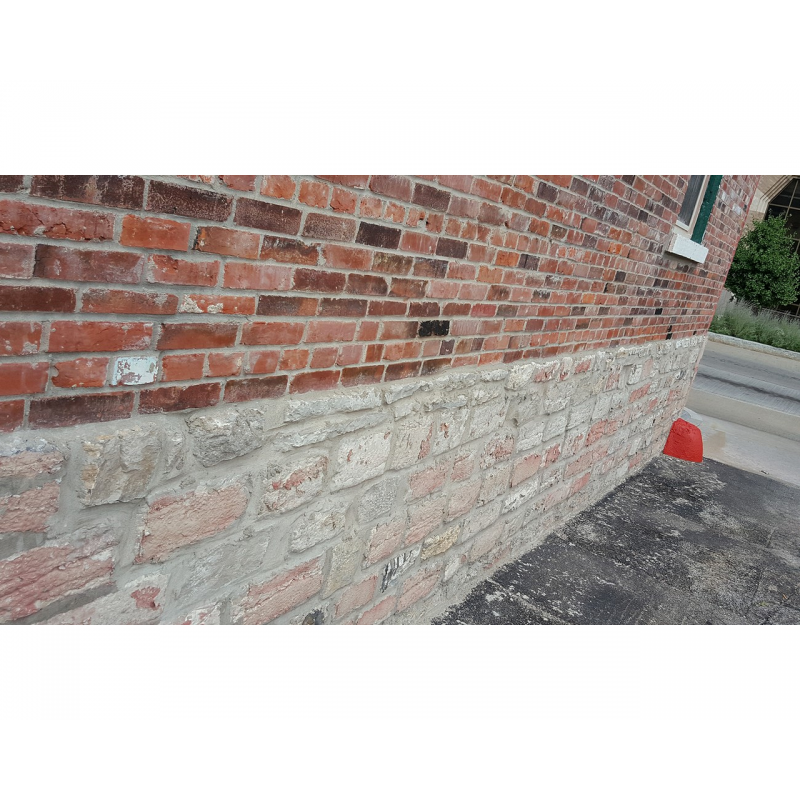 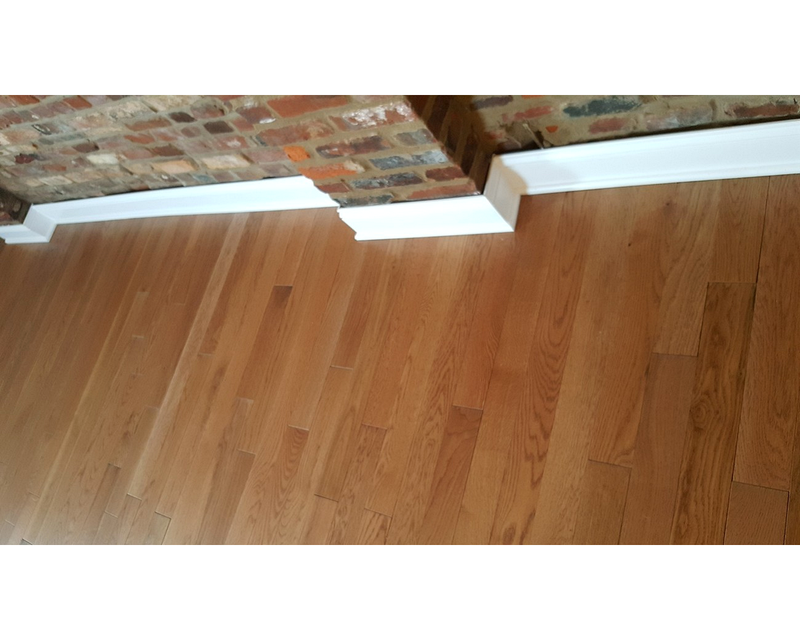 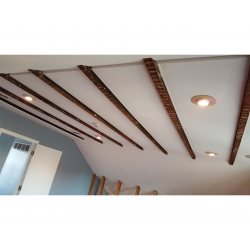 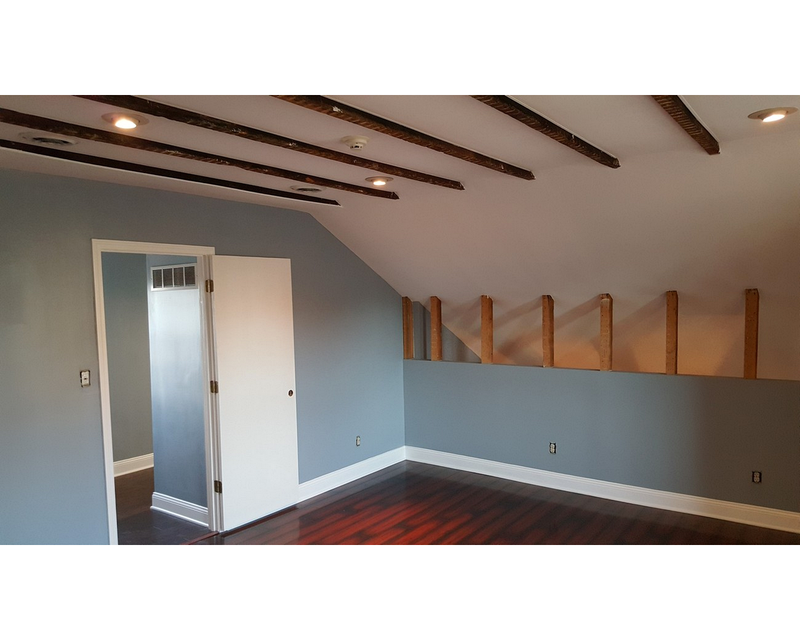 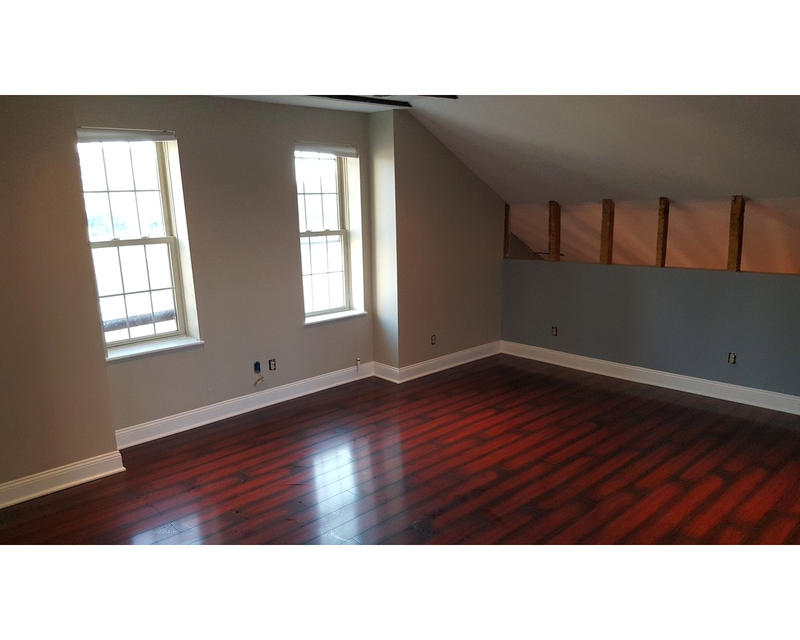 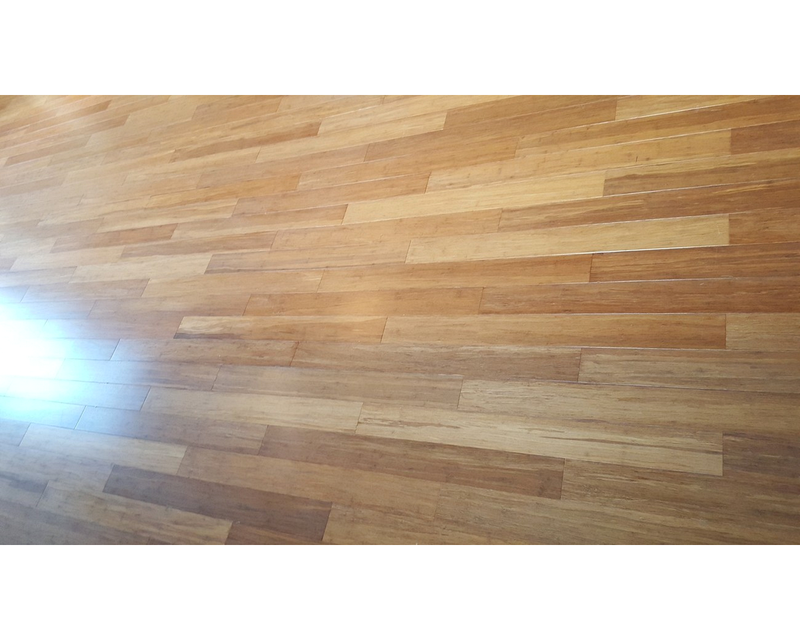 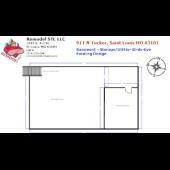 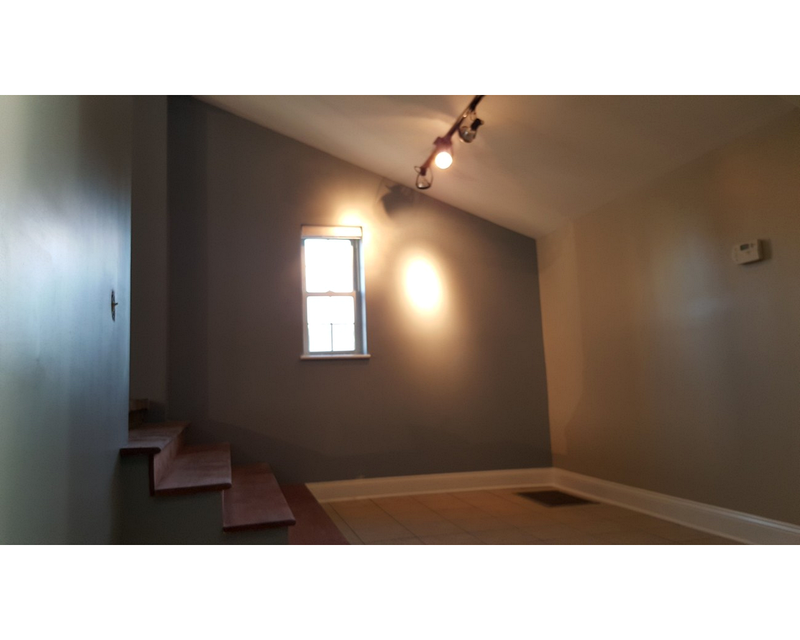 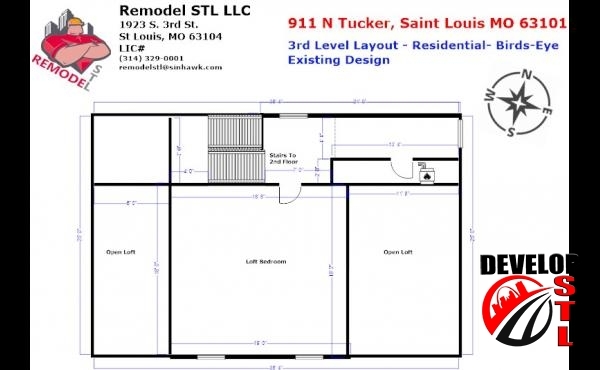 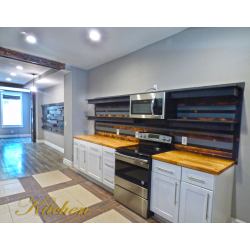 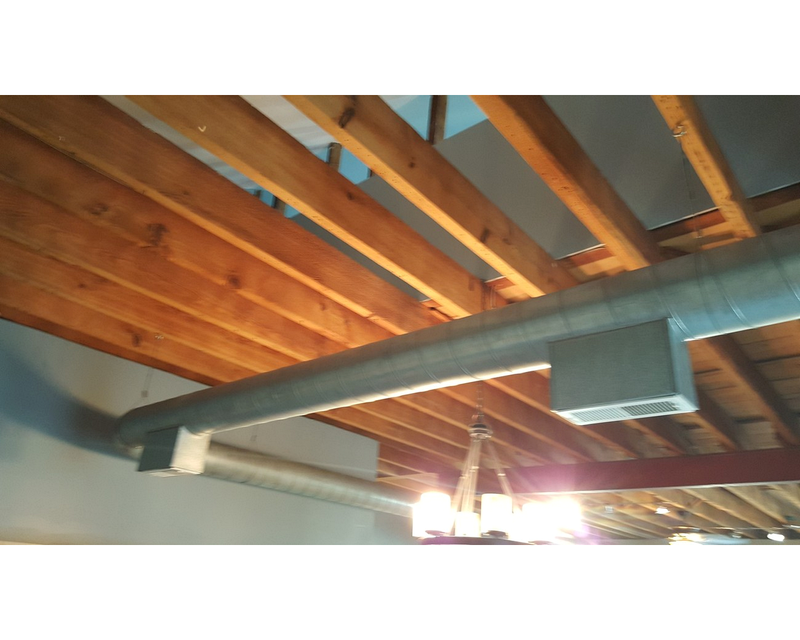 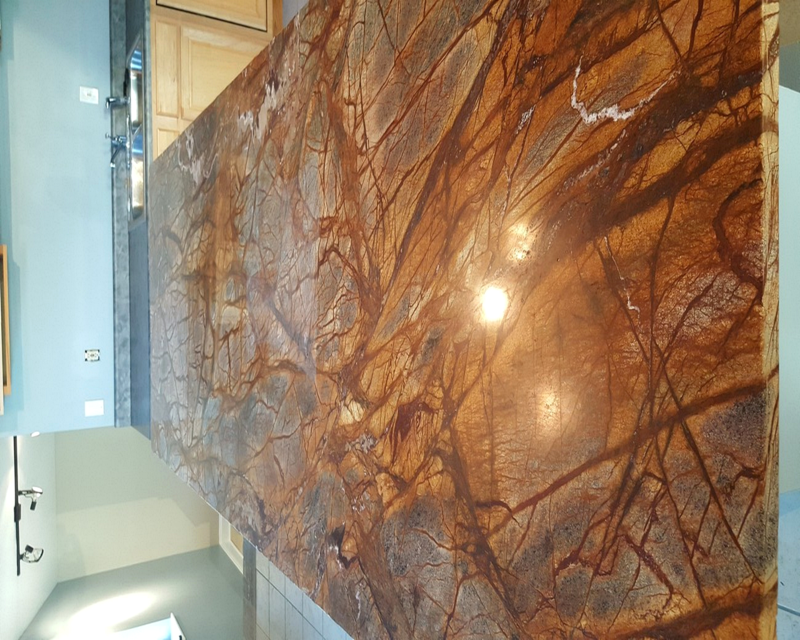 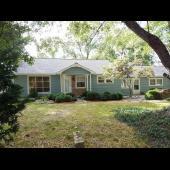 Construction Credits Available From Remodel STL! 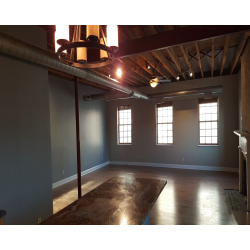 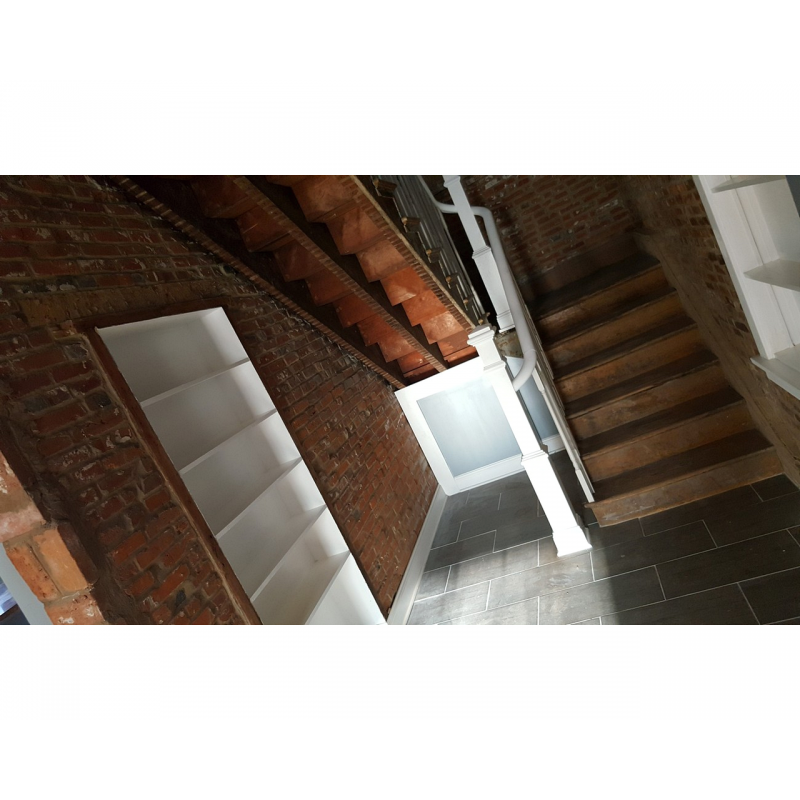 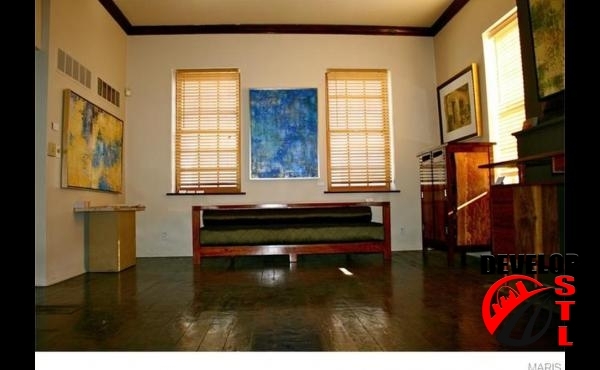 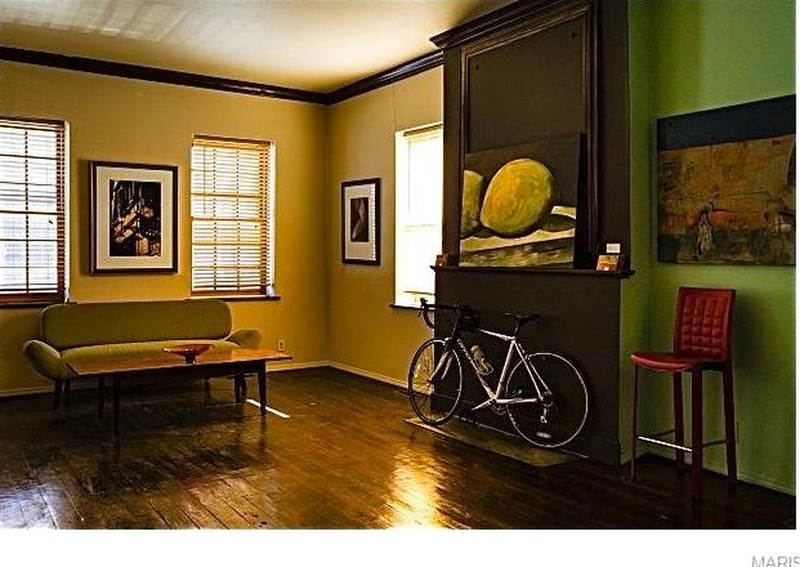 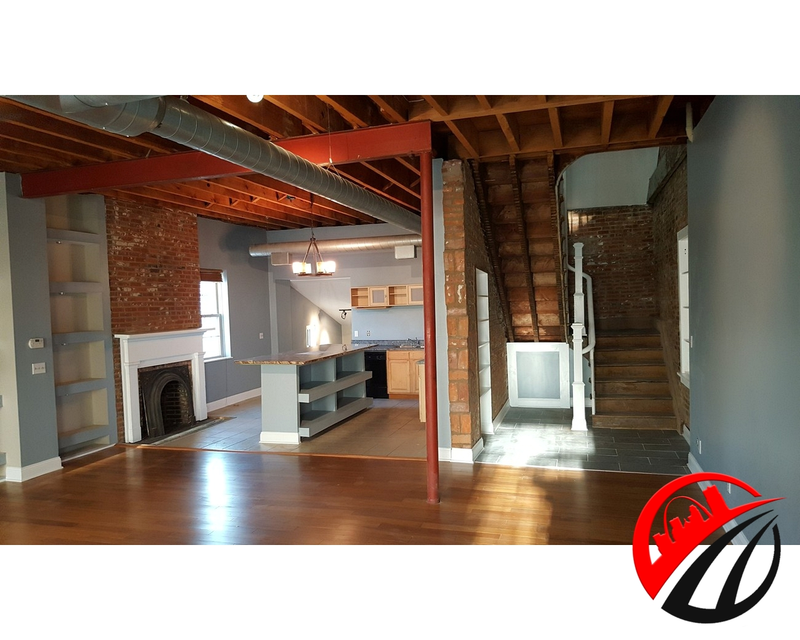 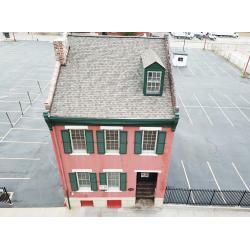 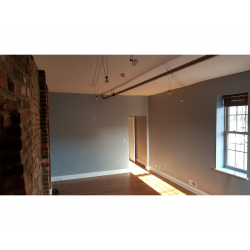 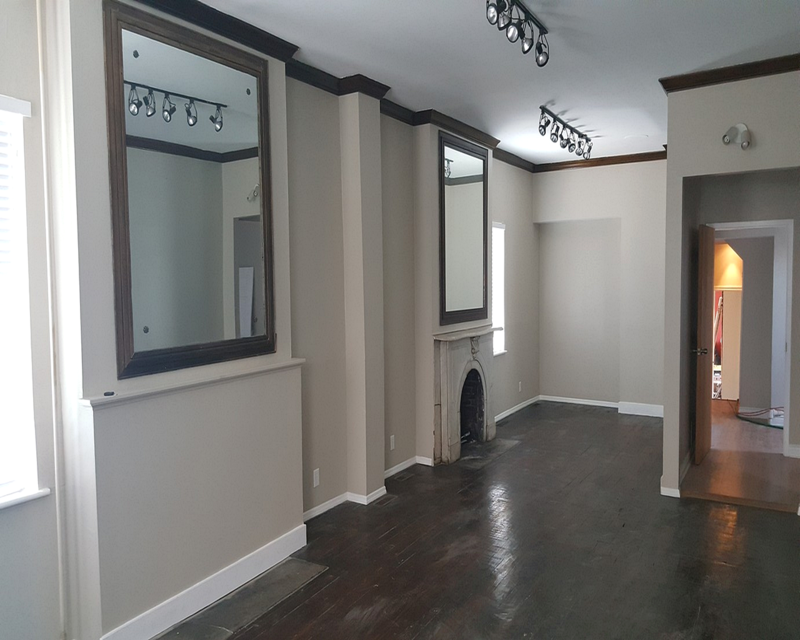 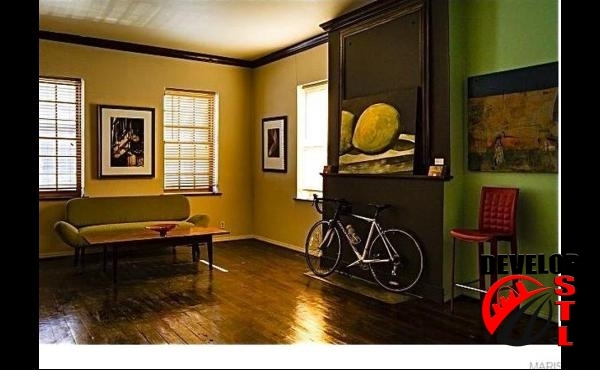 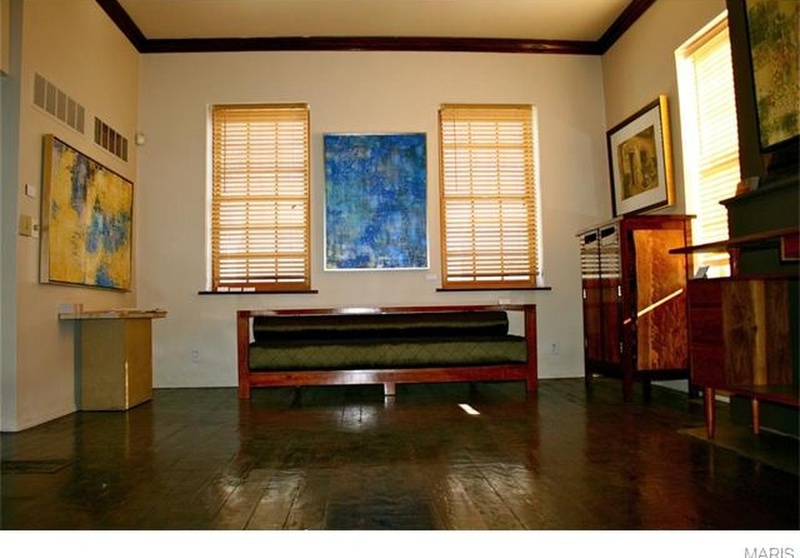 Zoned residential & commercial, this nicely appointed historic loft feathers a large office, reception, back office, party, entertaining, art gallery-like feel. 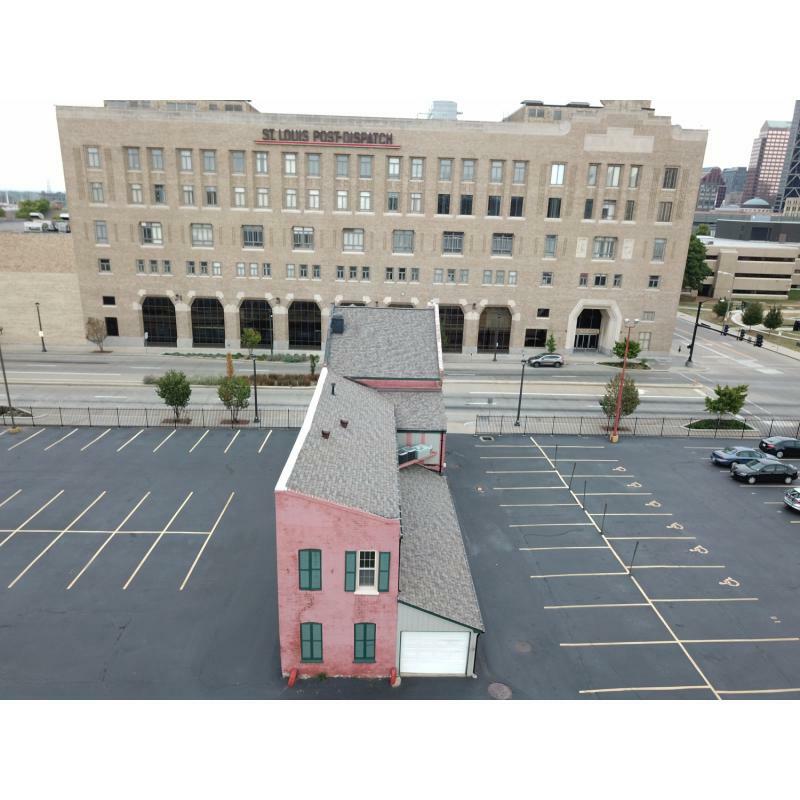 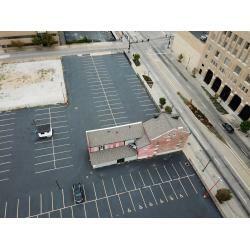 This property would be perfect for a lawyer or artist who appreciates the urban nightlife and lifestyle and wants significant visual presence and heavy car/foot traffic.